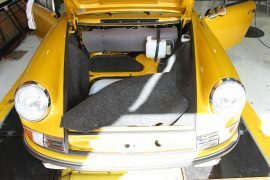 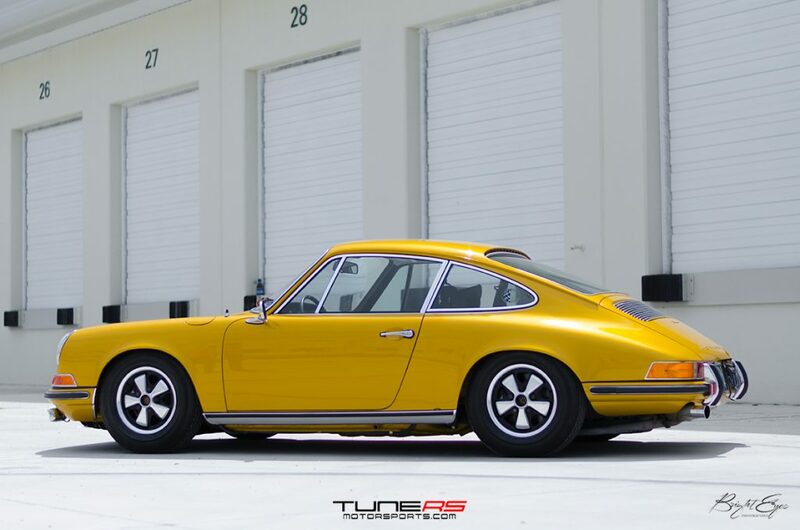 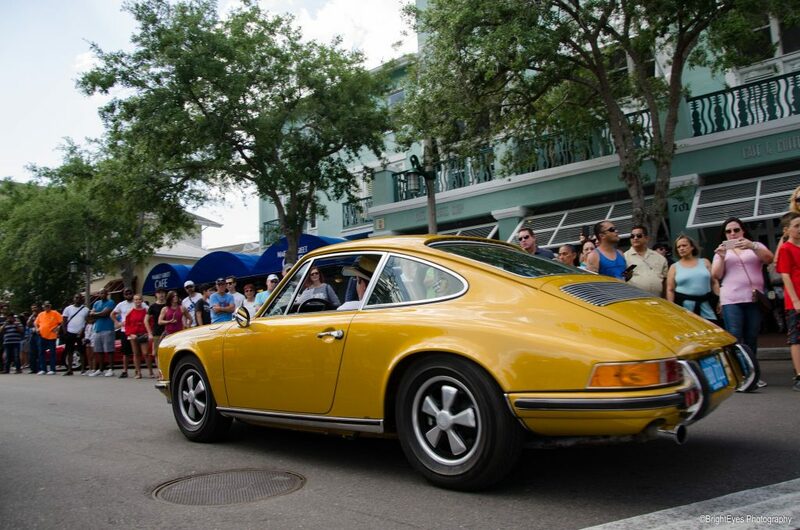 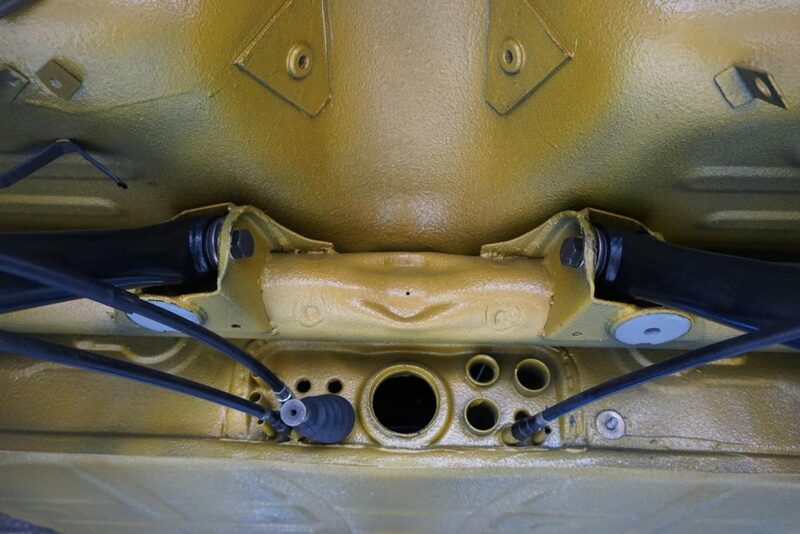 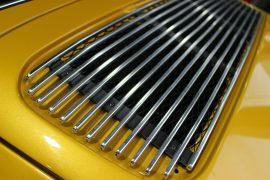 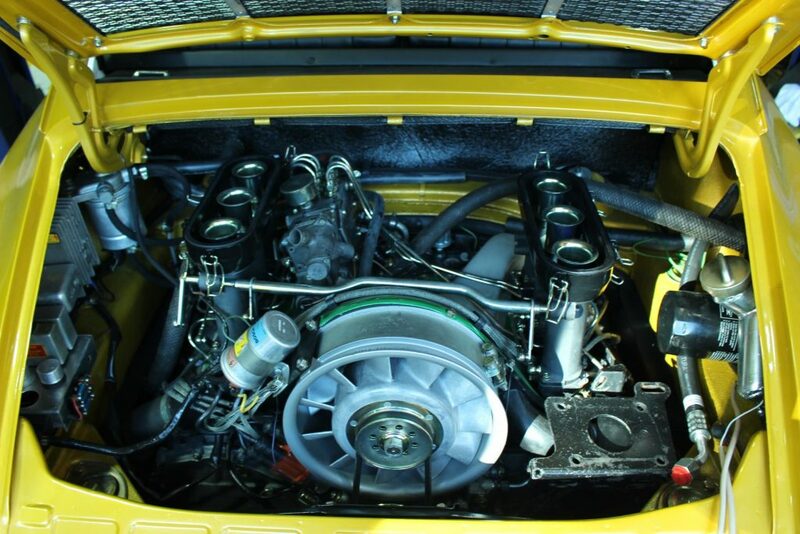 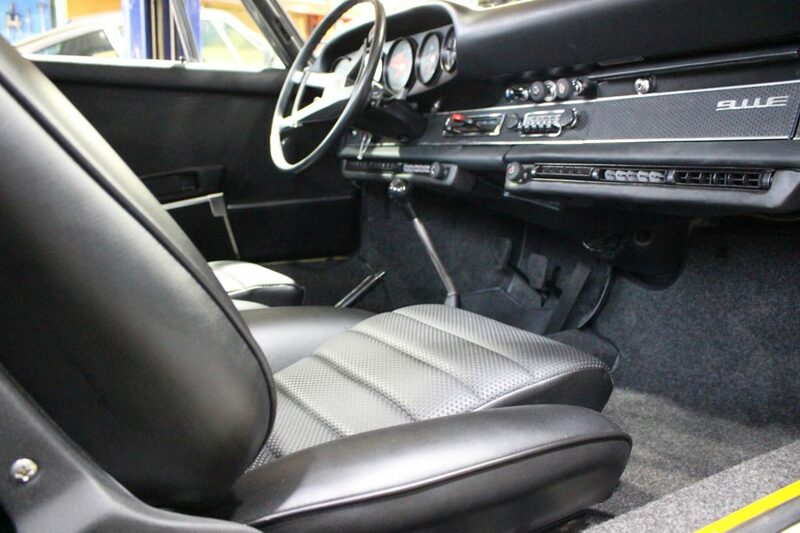 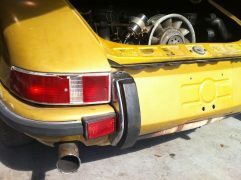 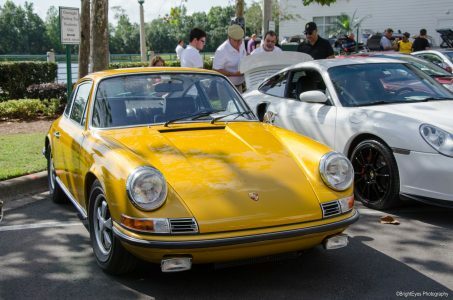 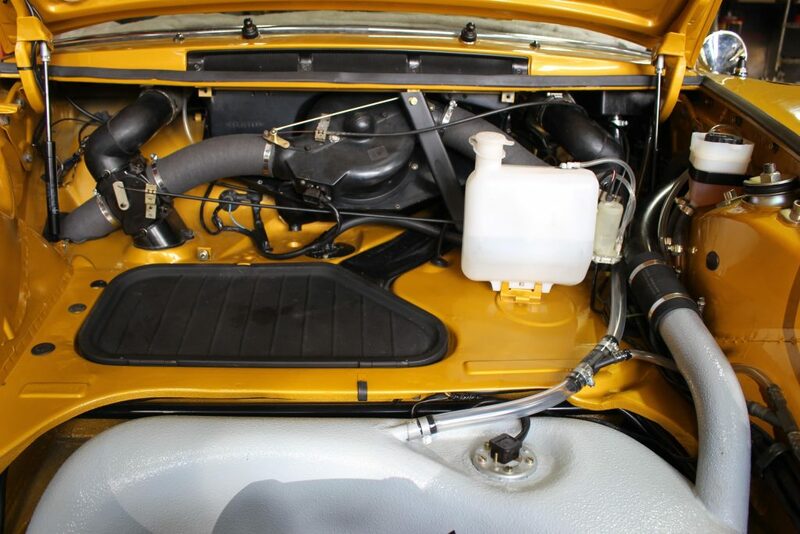 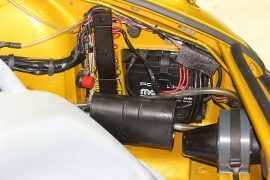 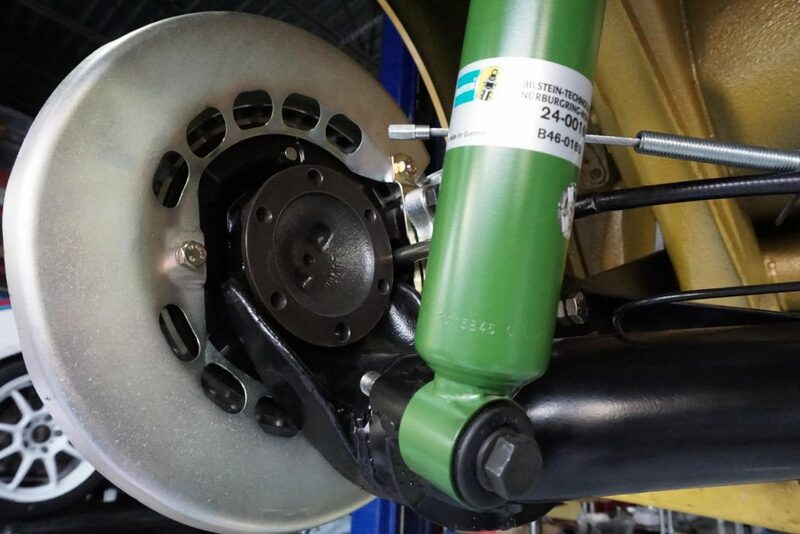 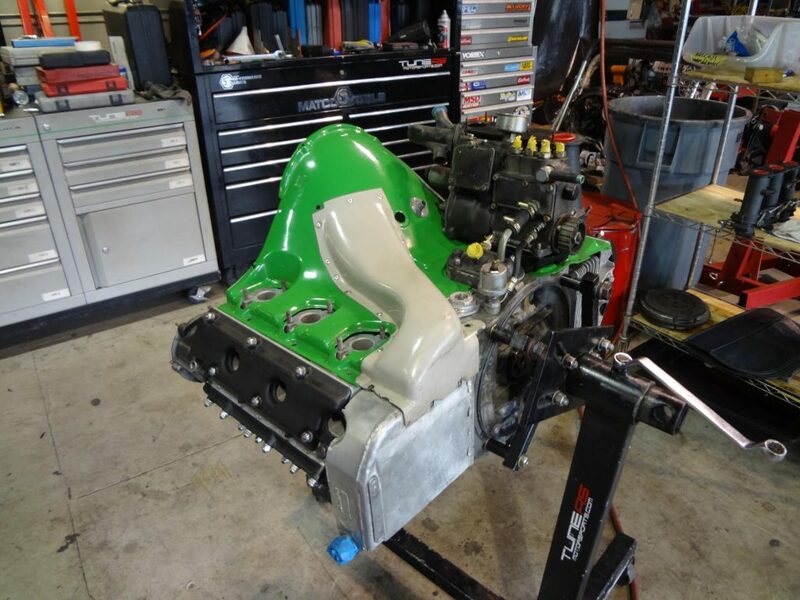 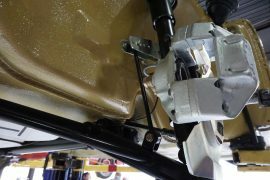 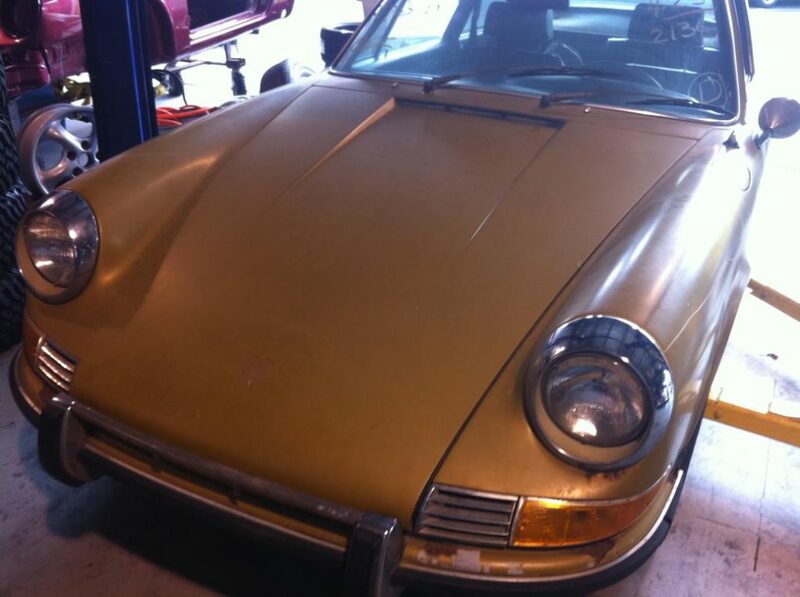 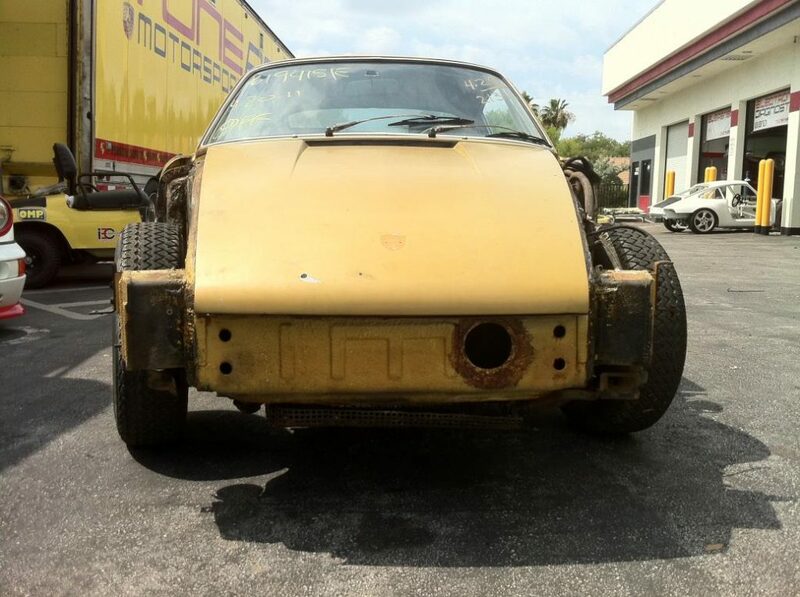 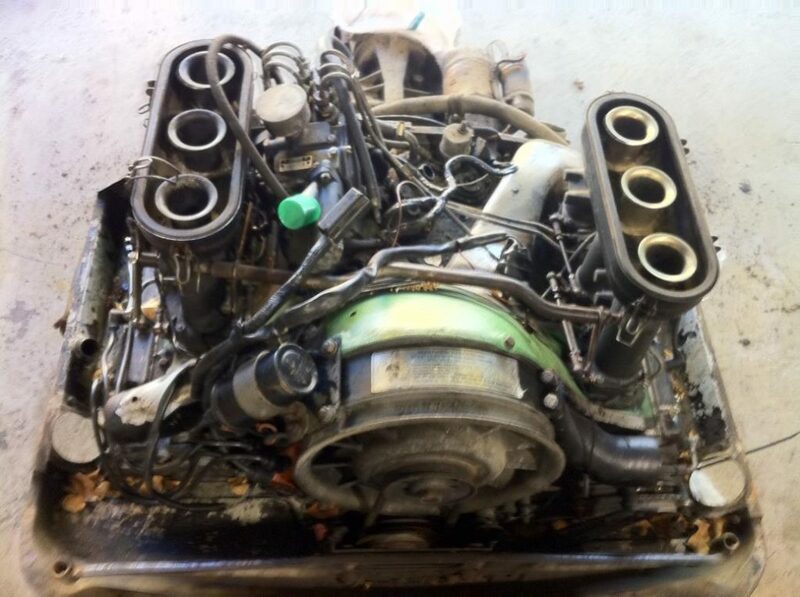 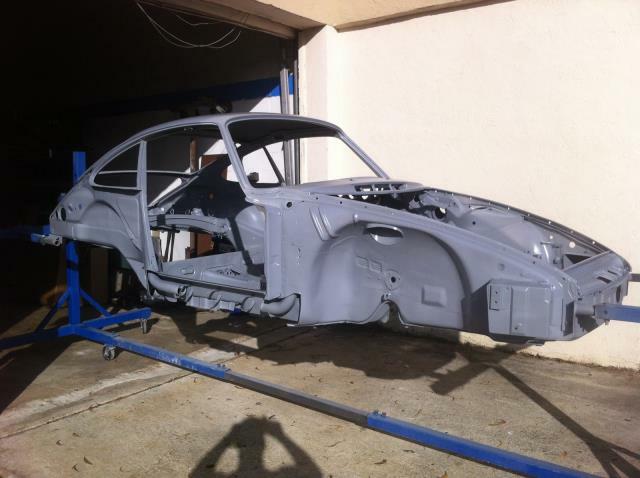 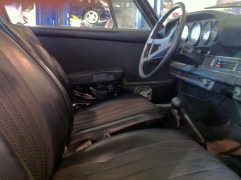 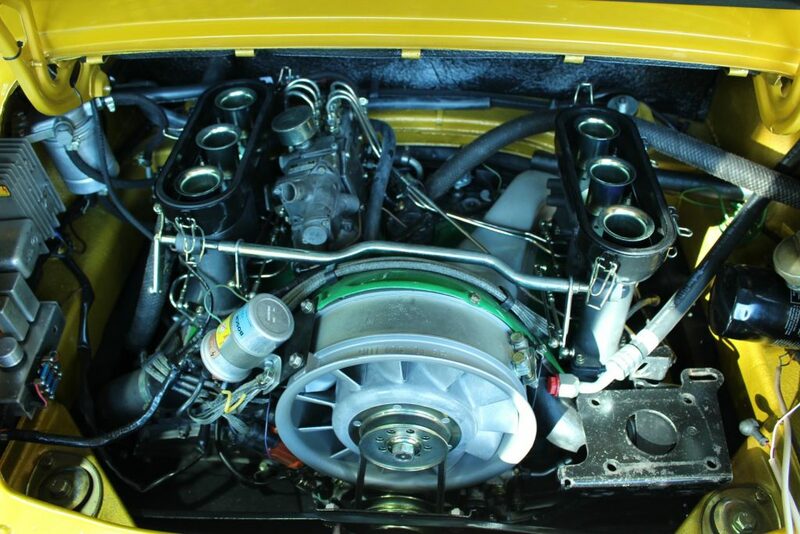 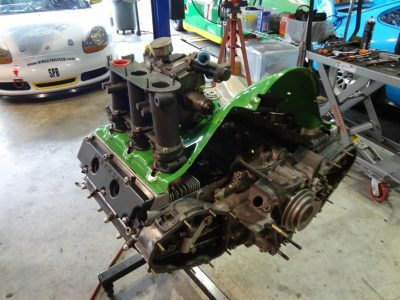 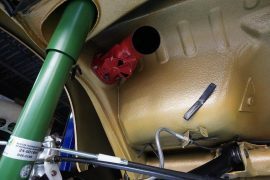 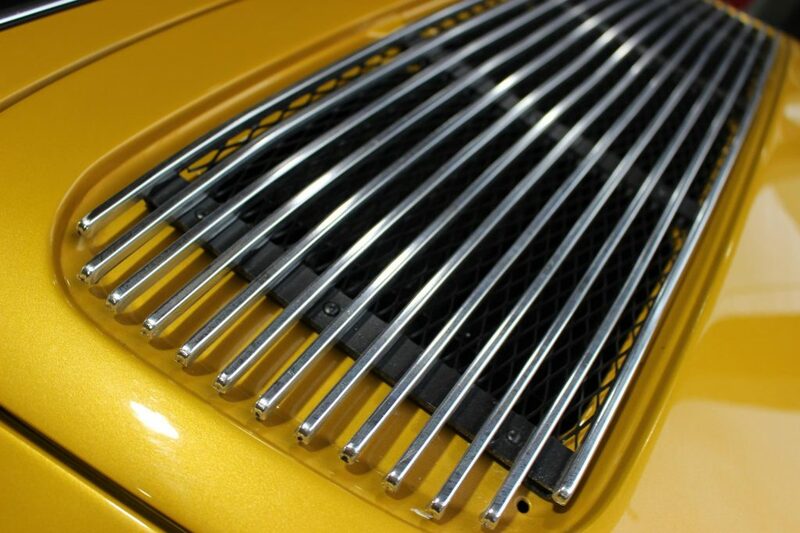 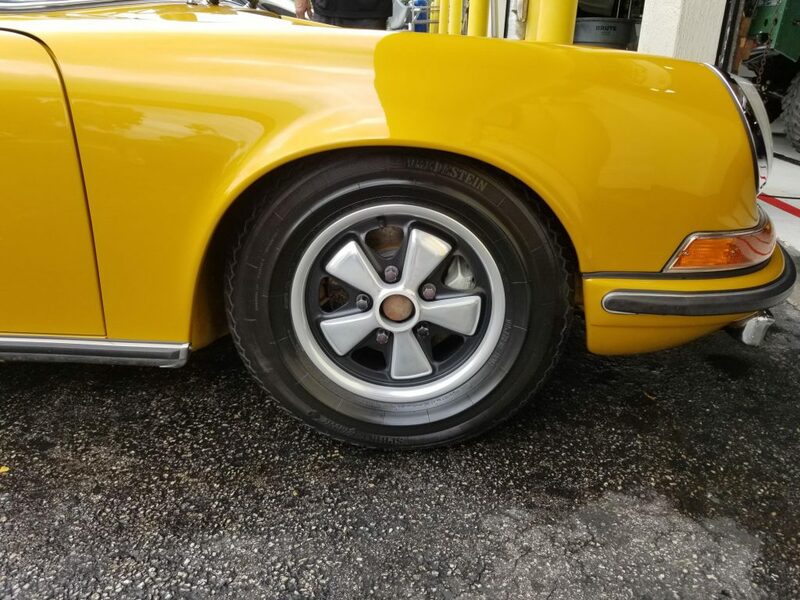 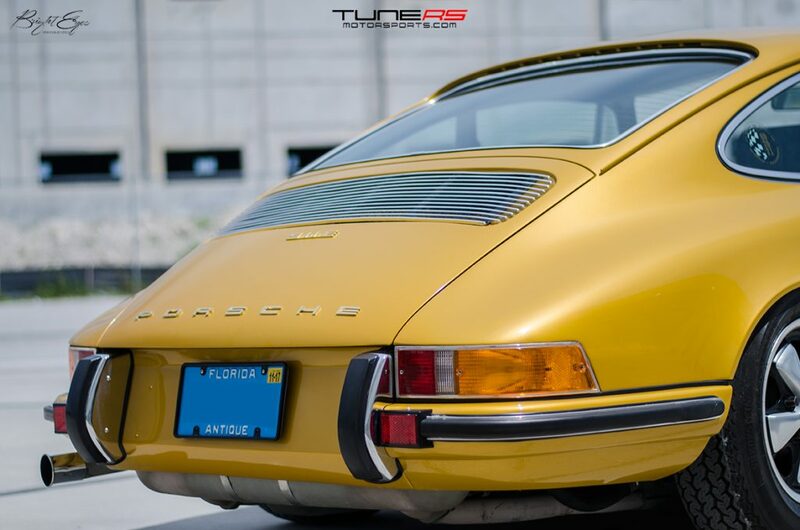 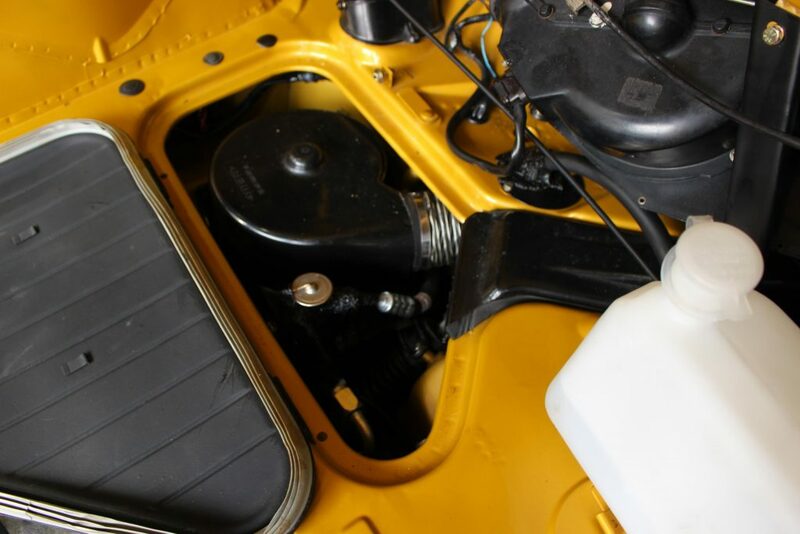 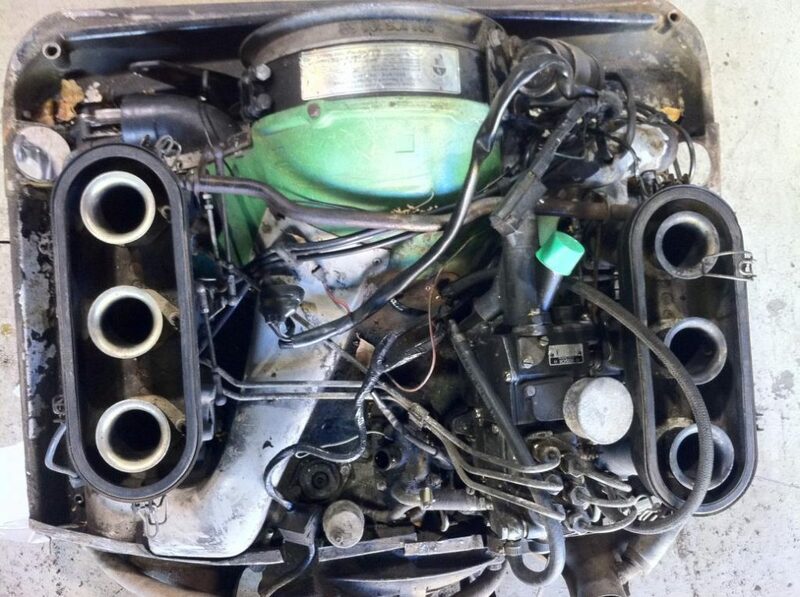 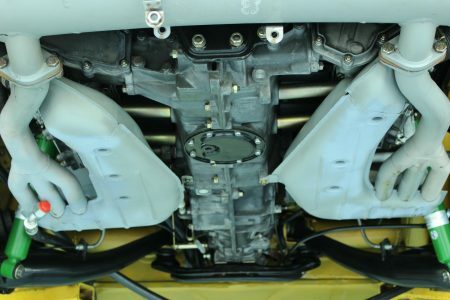 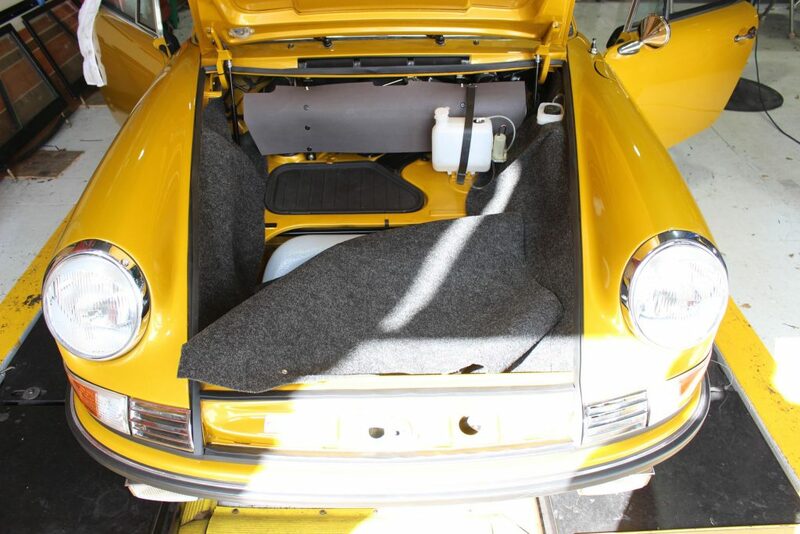 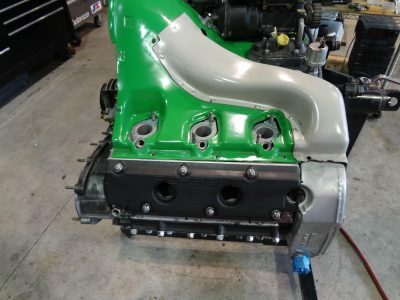 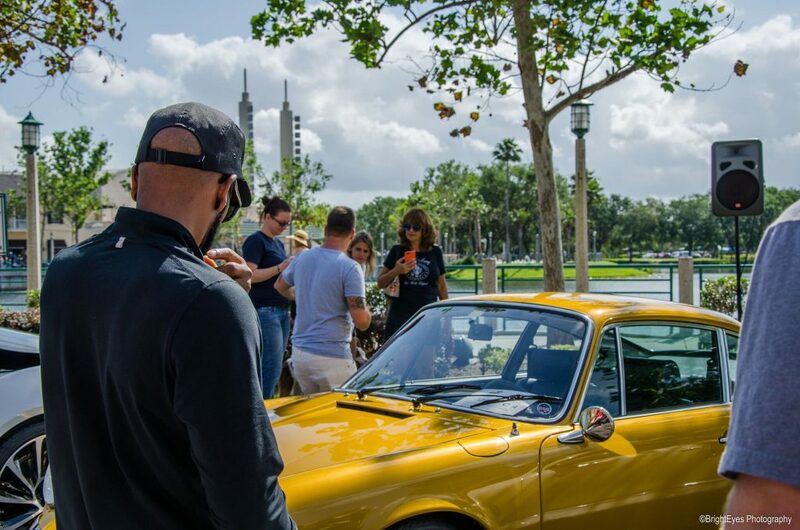 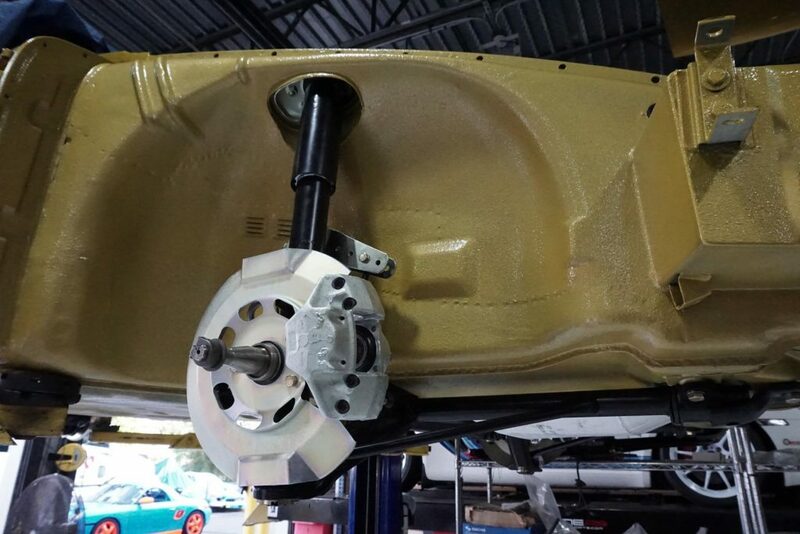 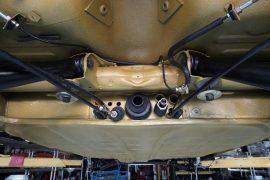 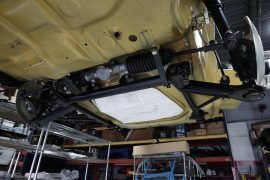 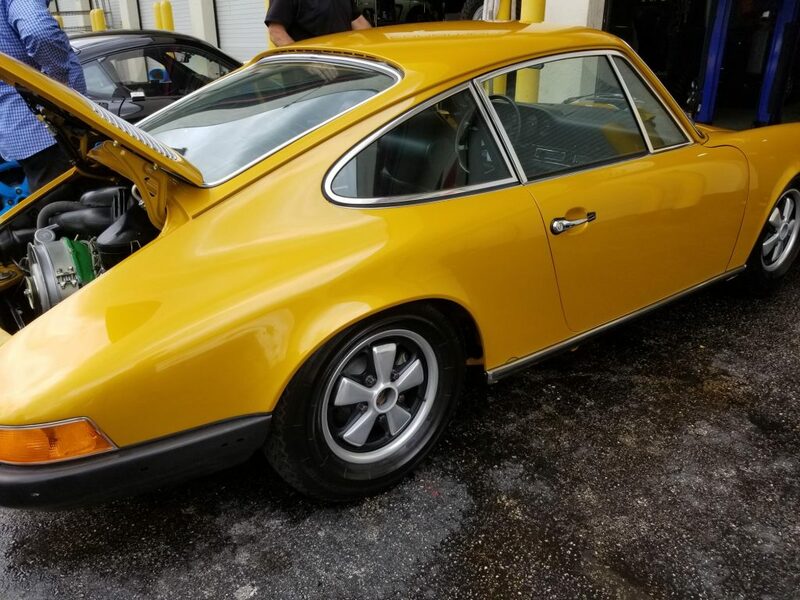 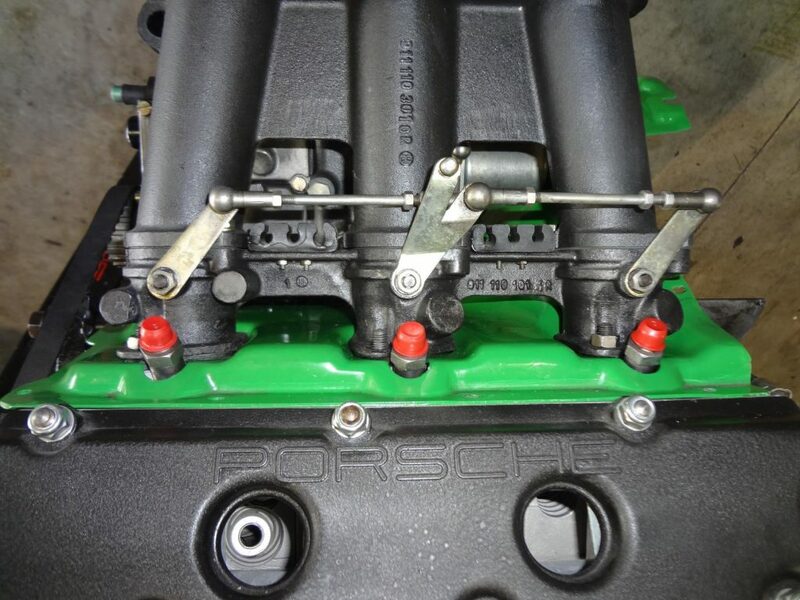 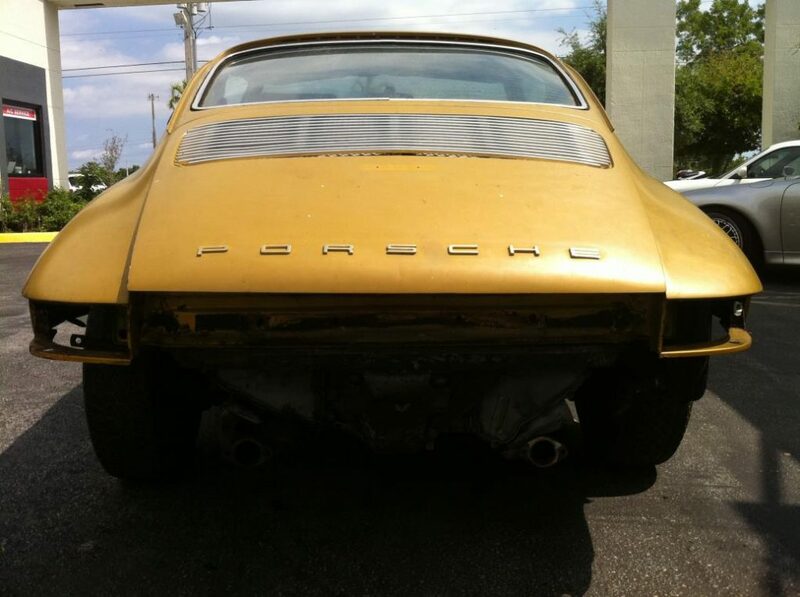 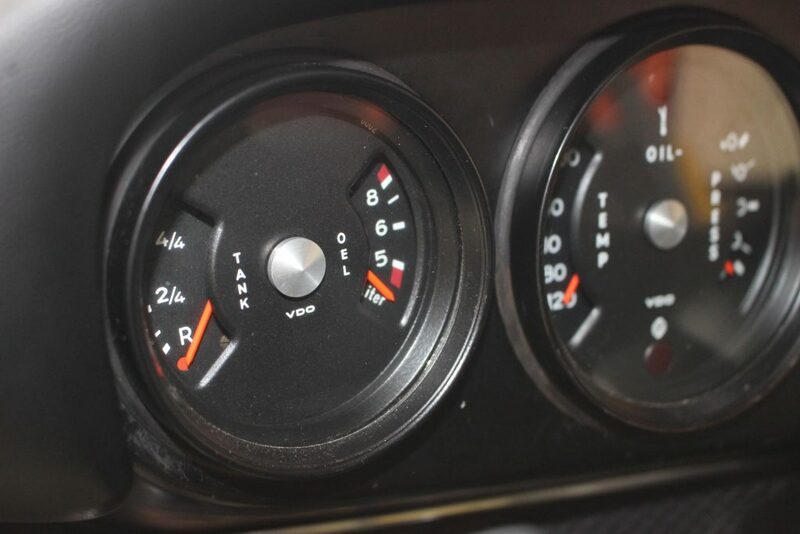 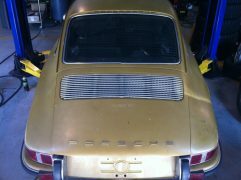 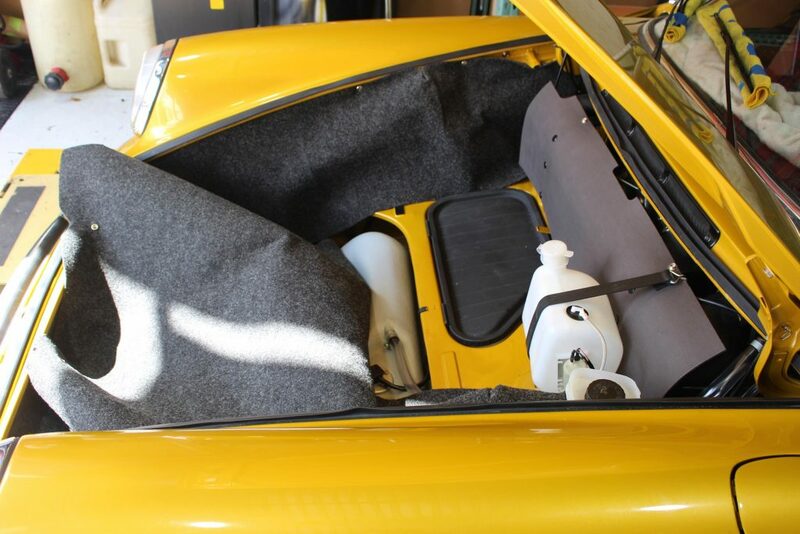 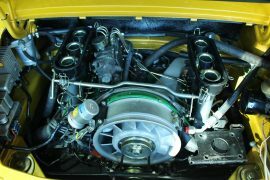 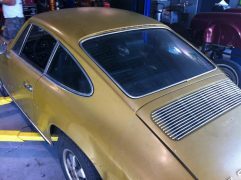 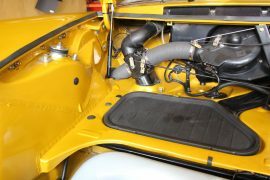 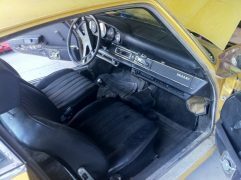 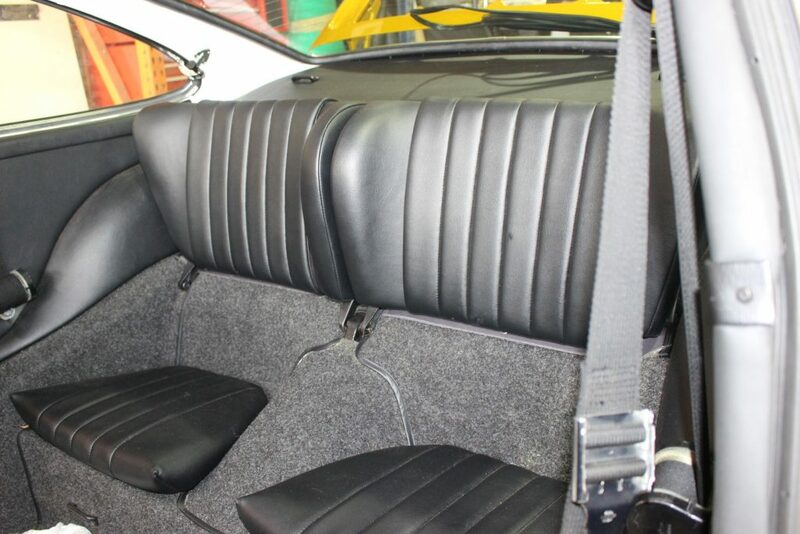 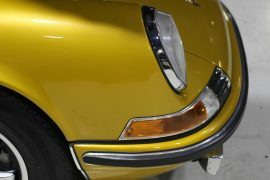 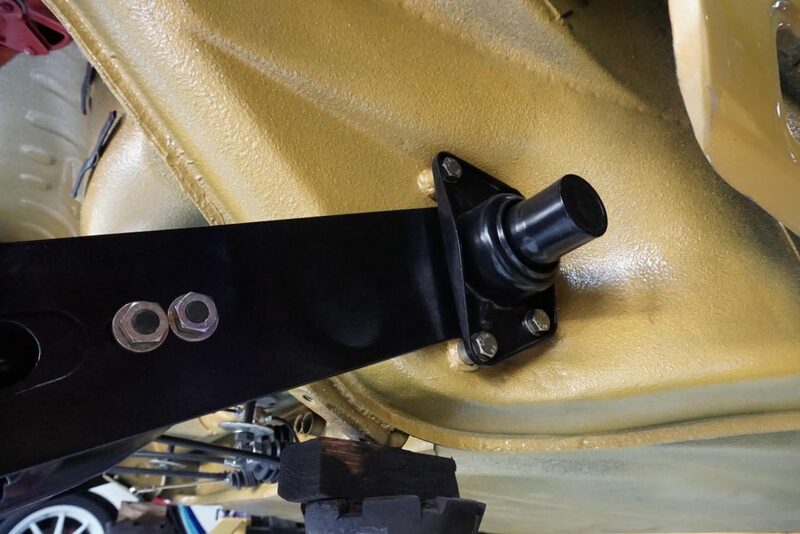 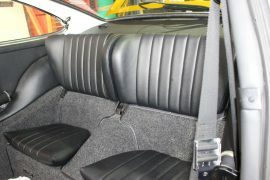 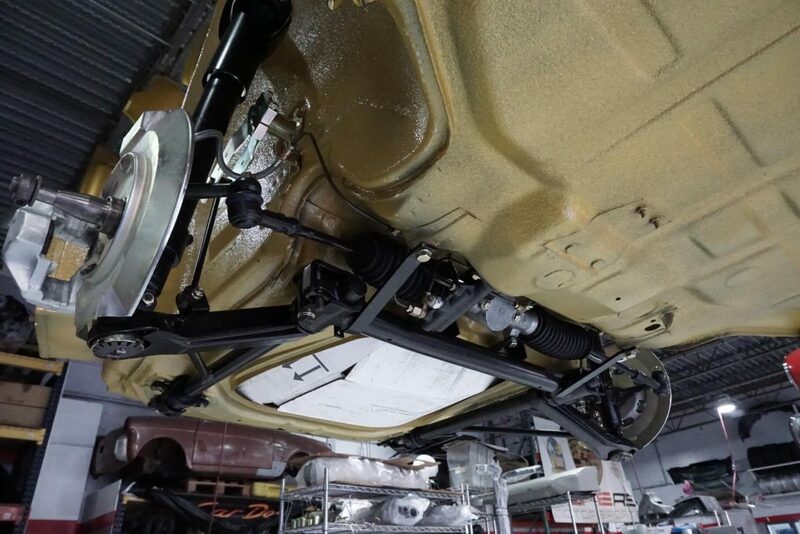 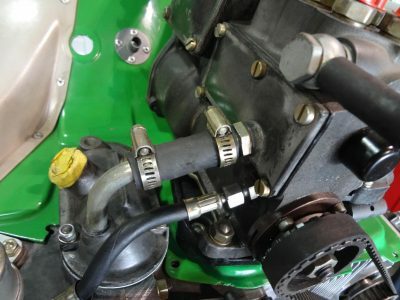 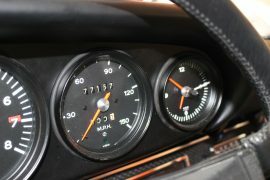 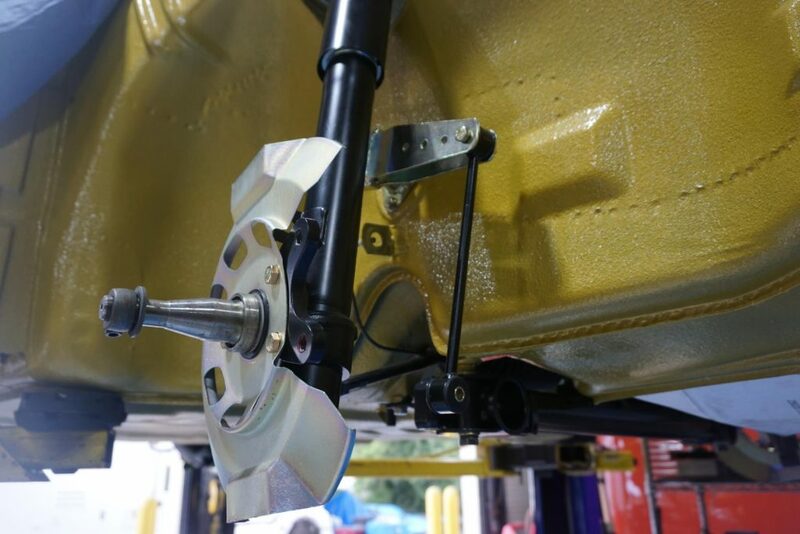 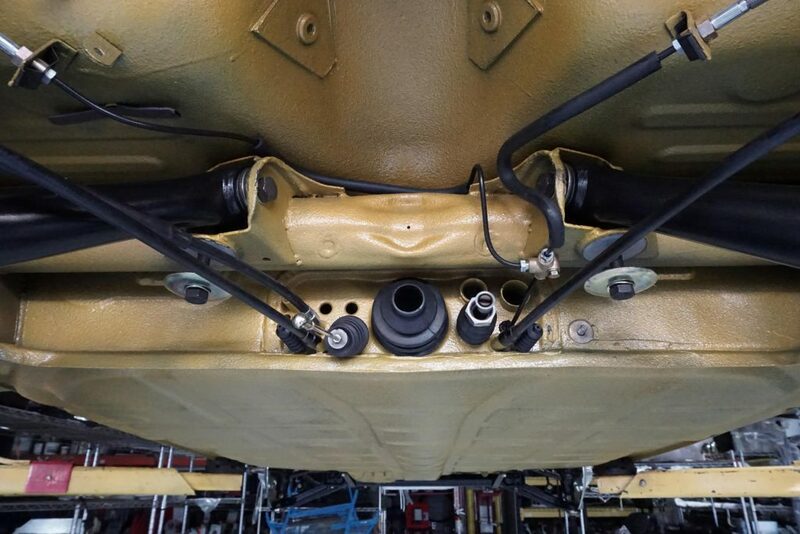 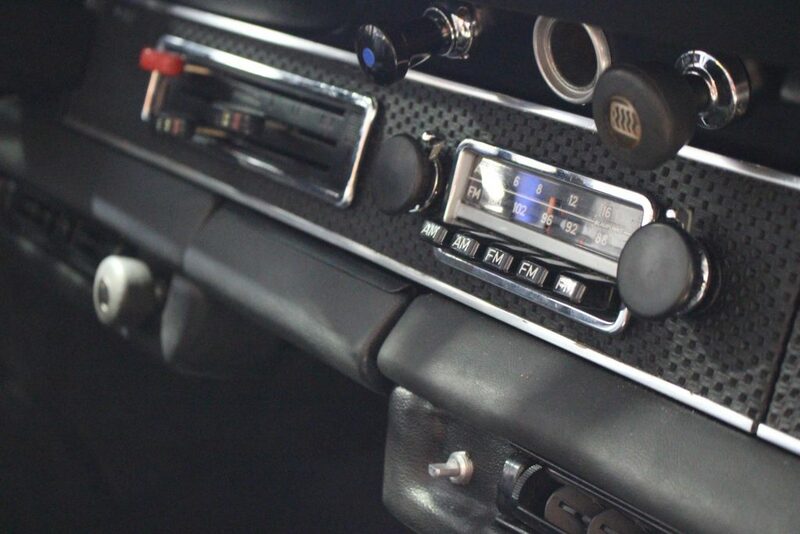 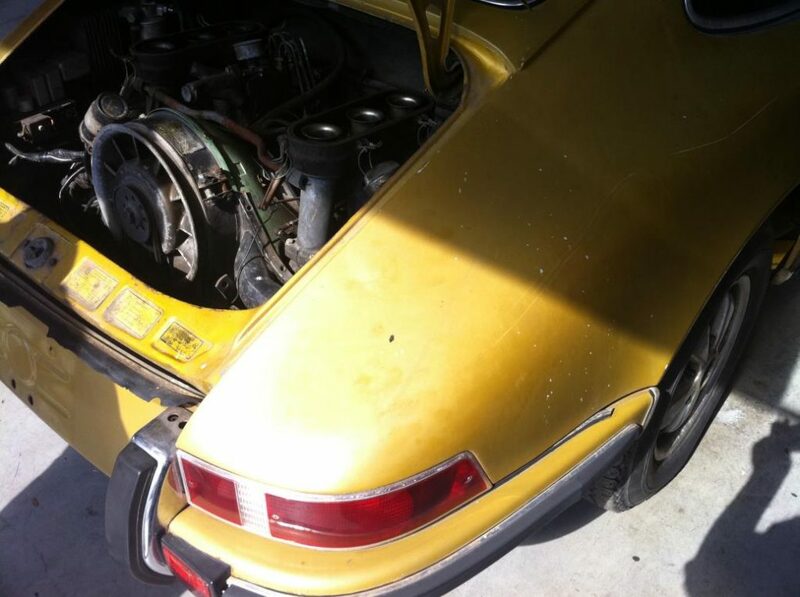 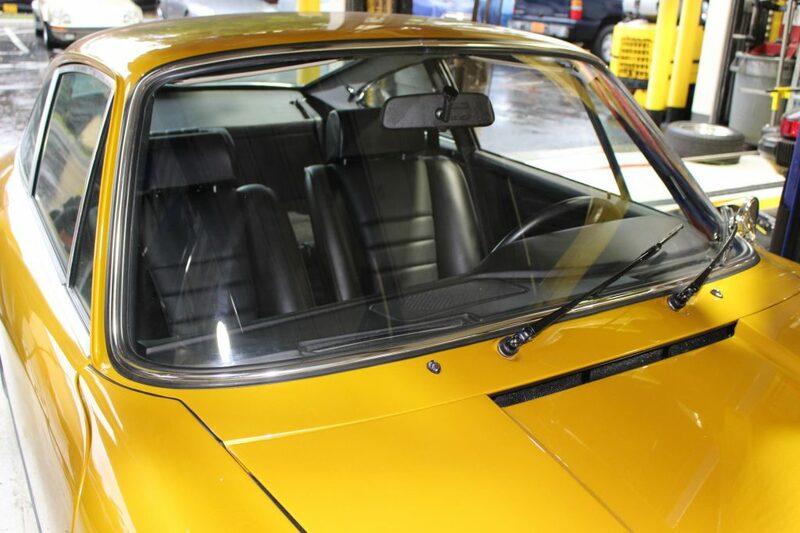 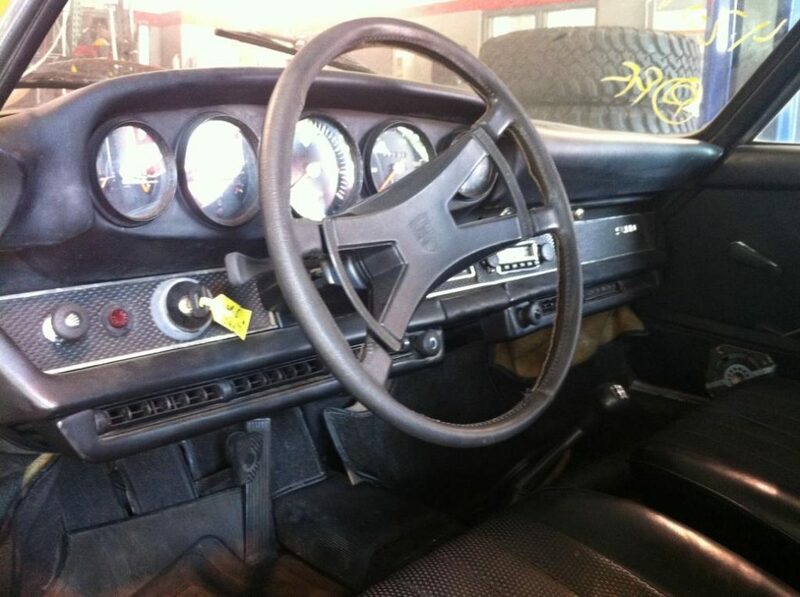 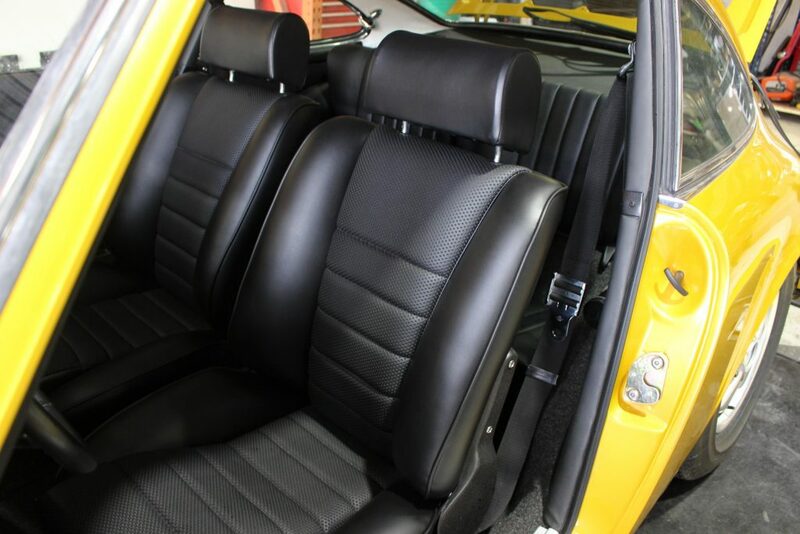 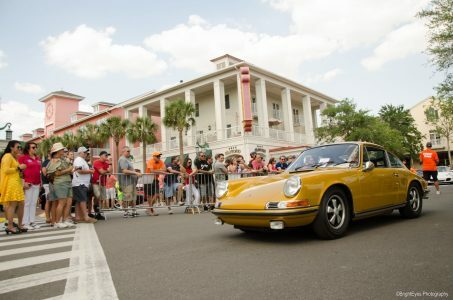 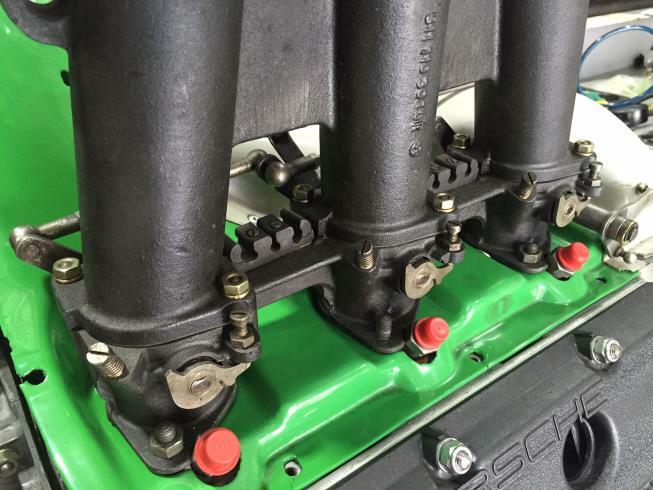 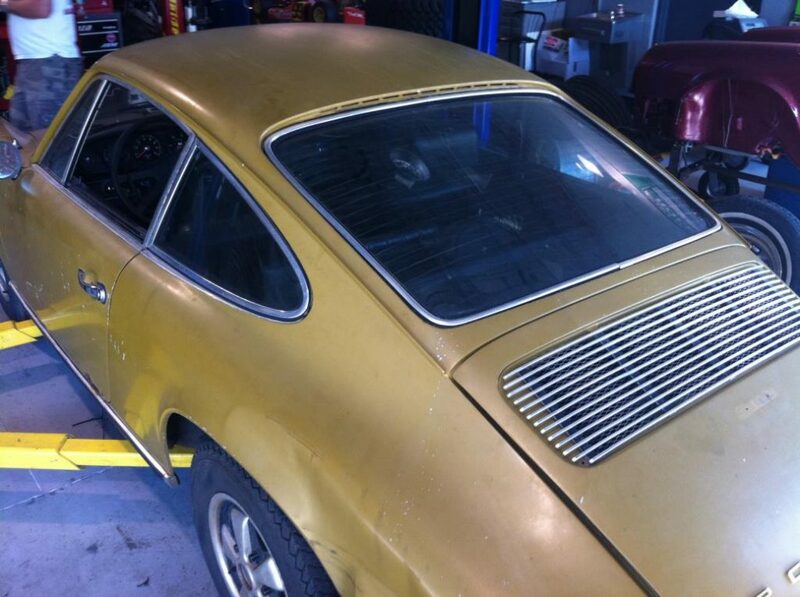 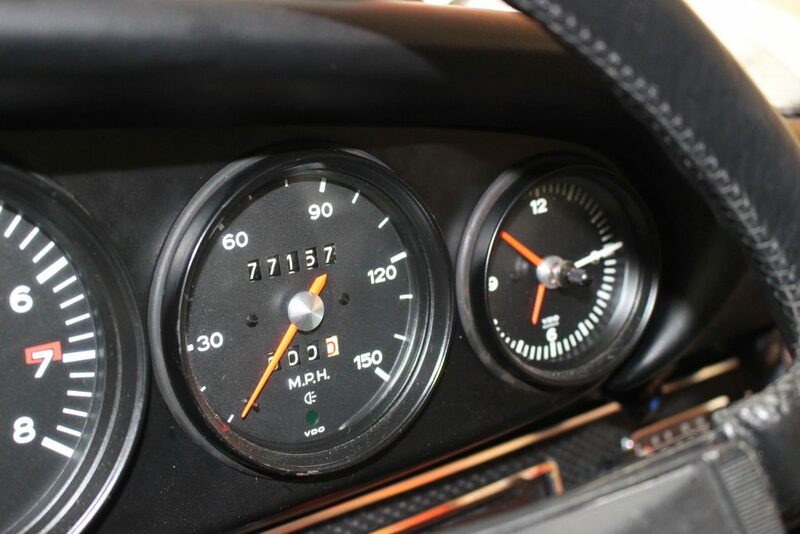 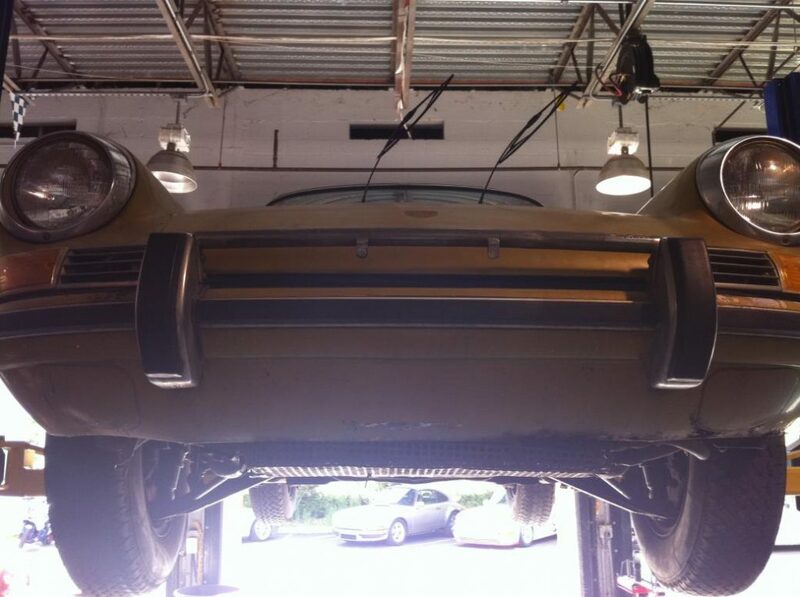 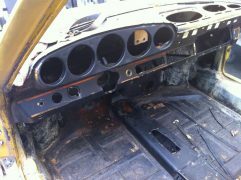 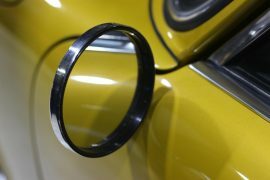 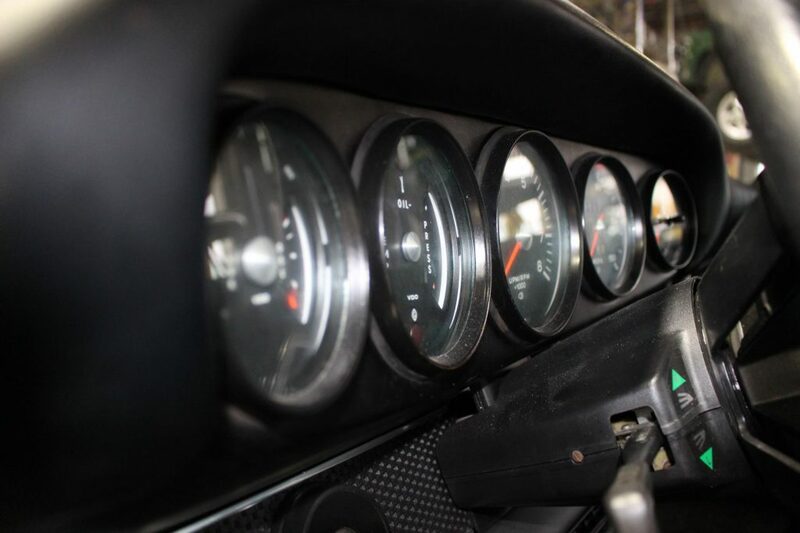 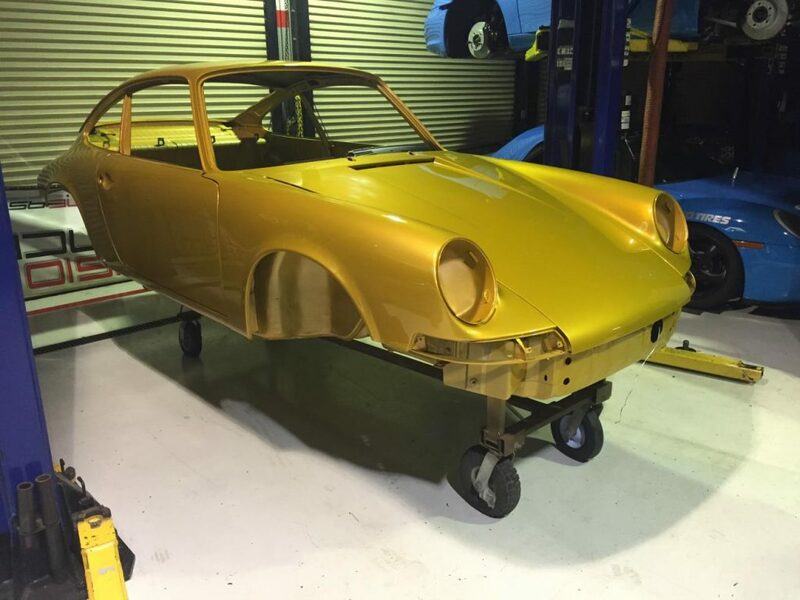 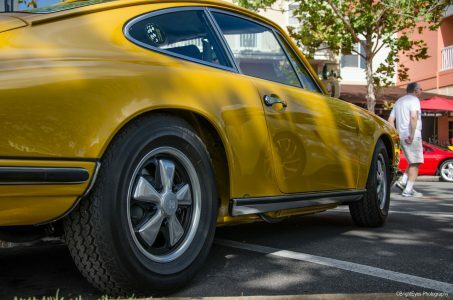 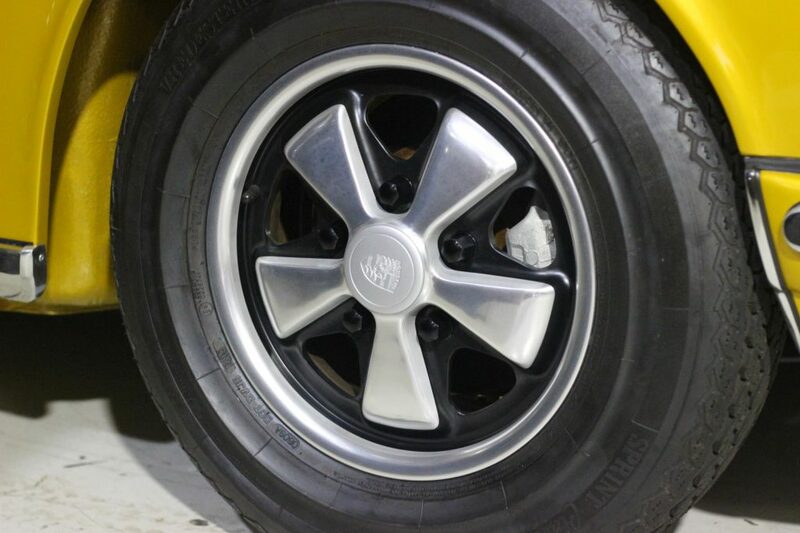 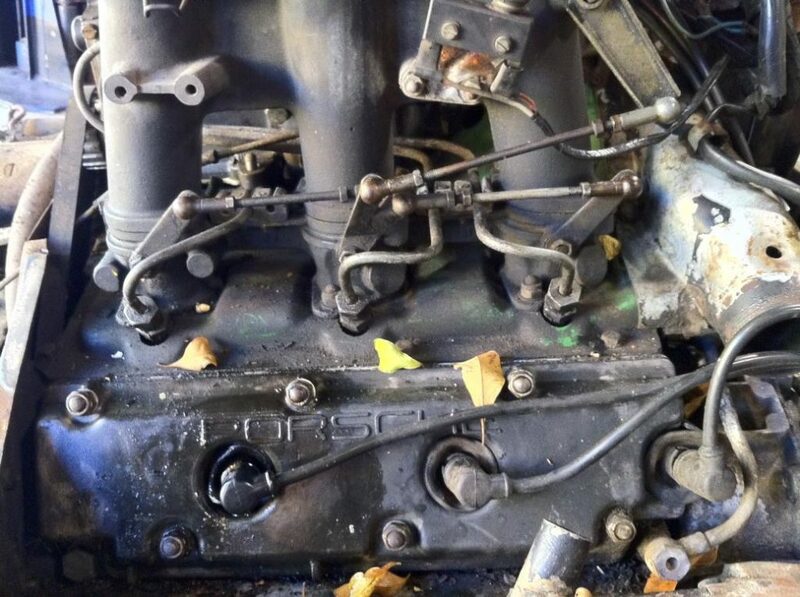 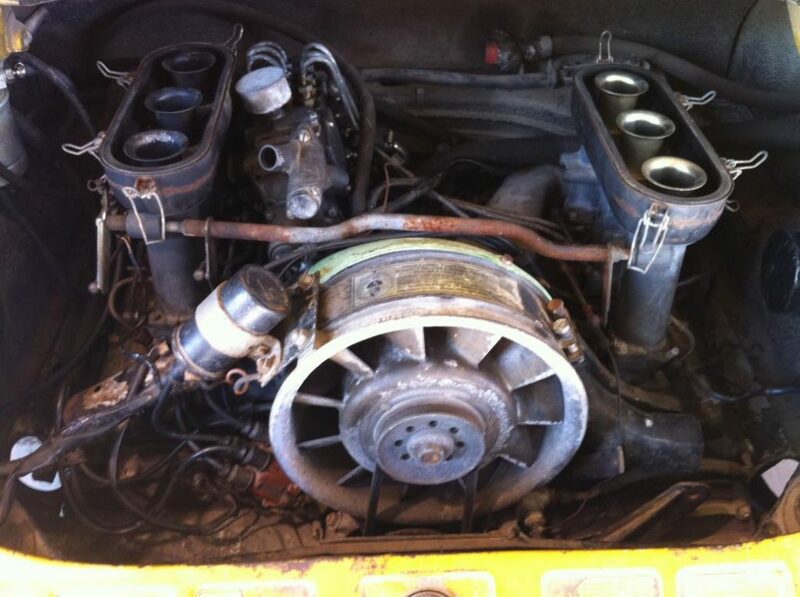 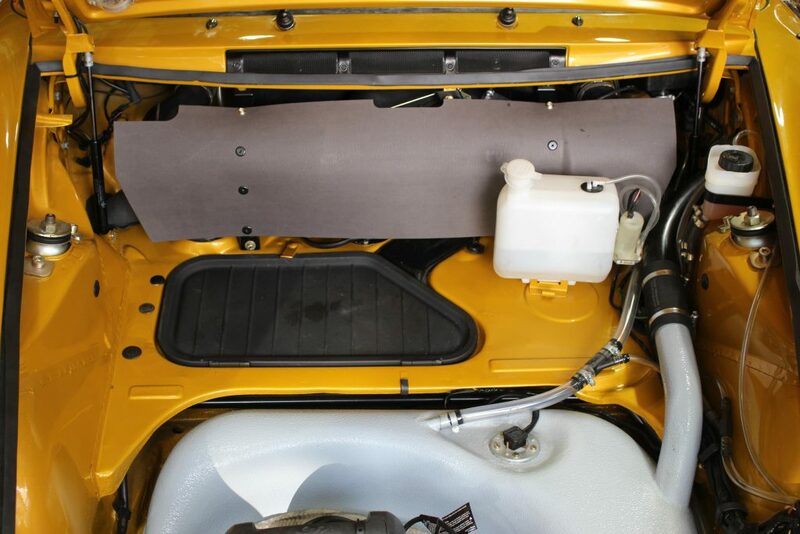 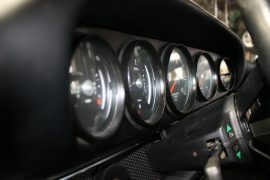 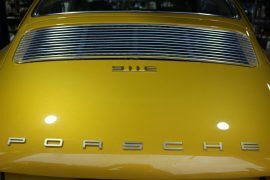 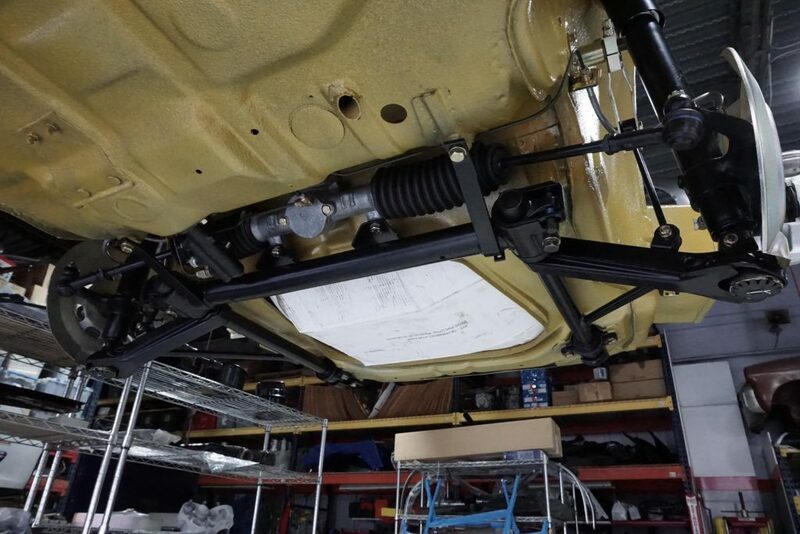 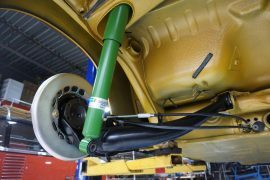 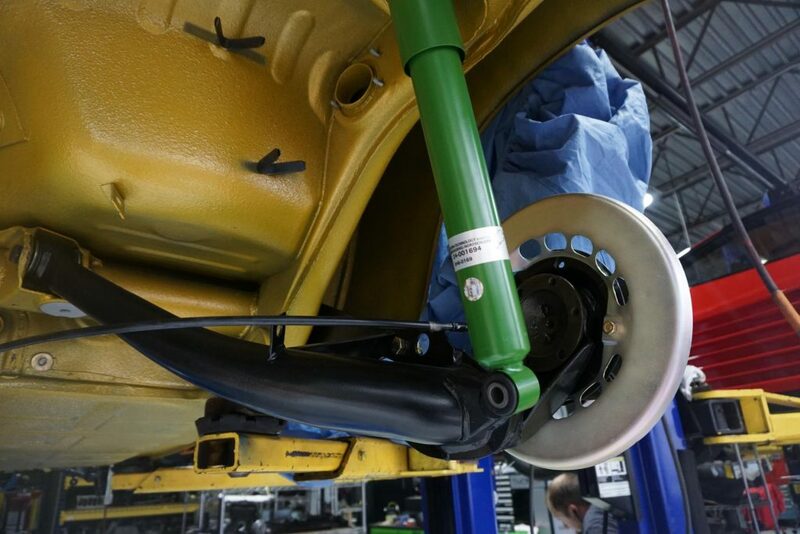 This is a full ground up restoration 1971 Porsche 911E, mechanical fuel injected, done by TuneRS Motorsports. 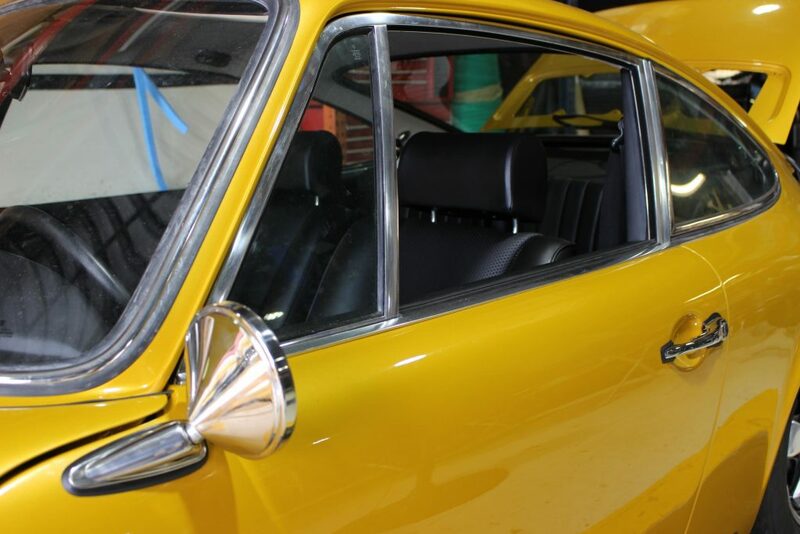 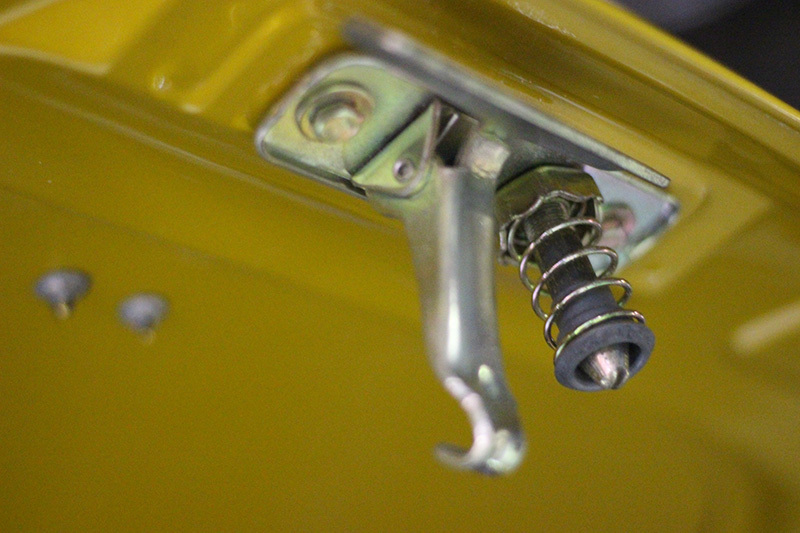 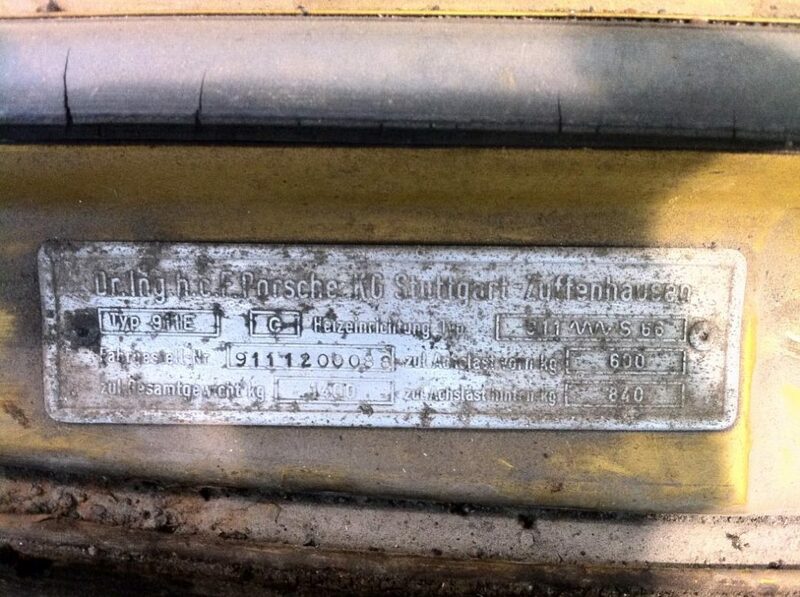 This was a “barn find” – all matching number running vehicle when it was first delivered to us. 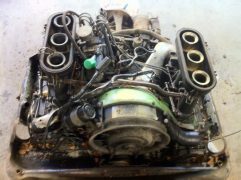 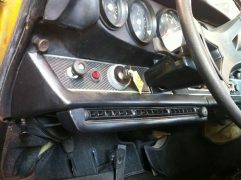 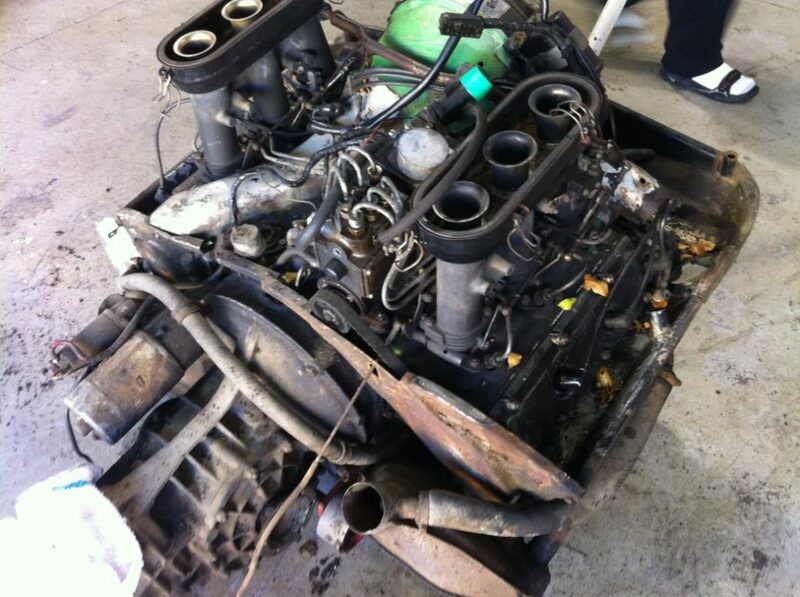 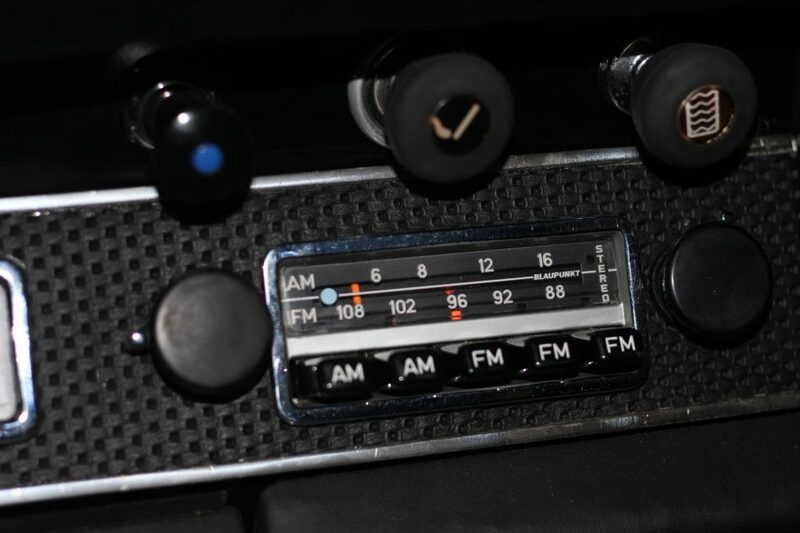 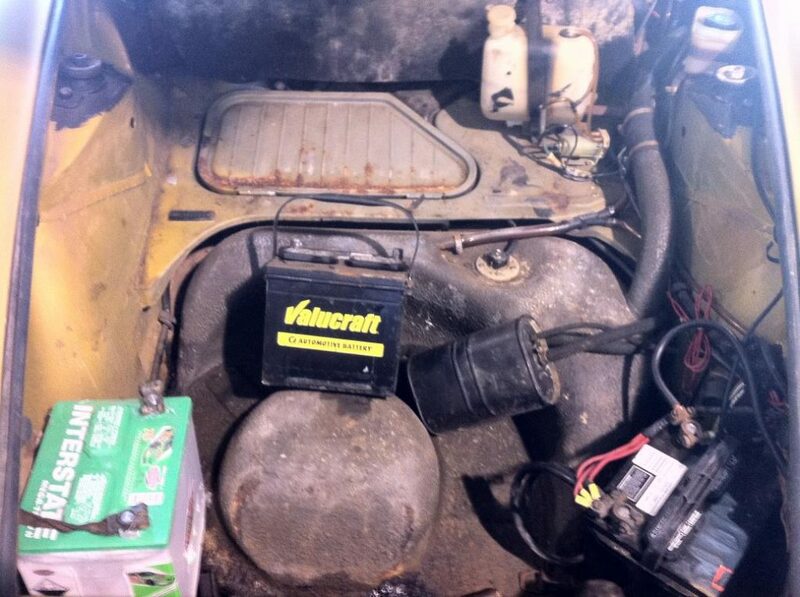 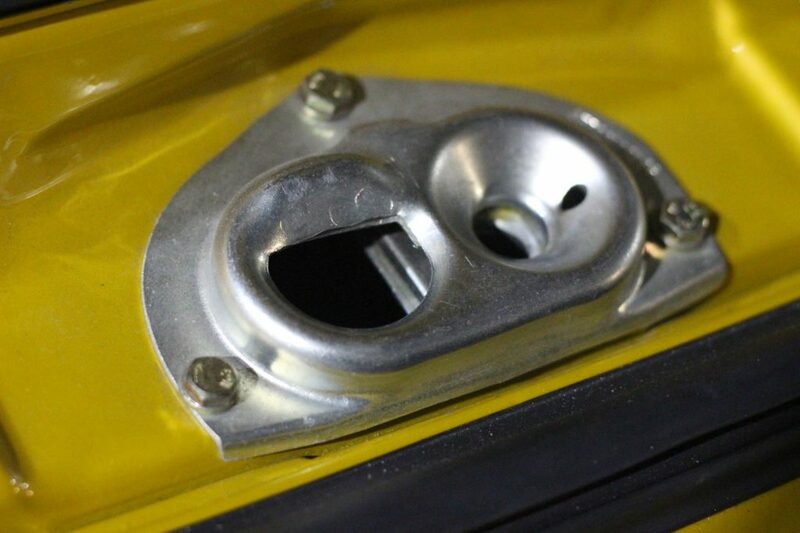 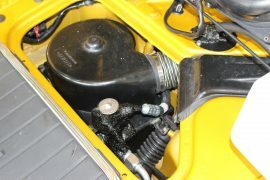 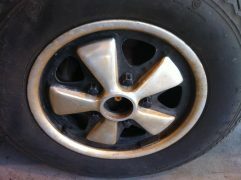 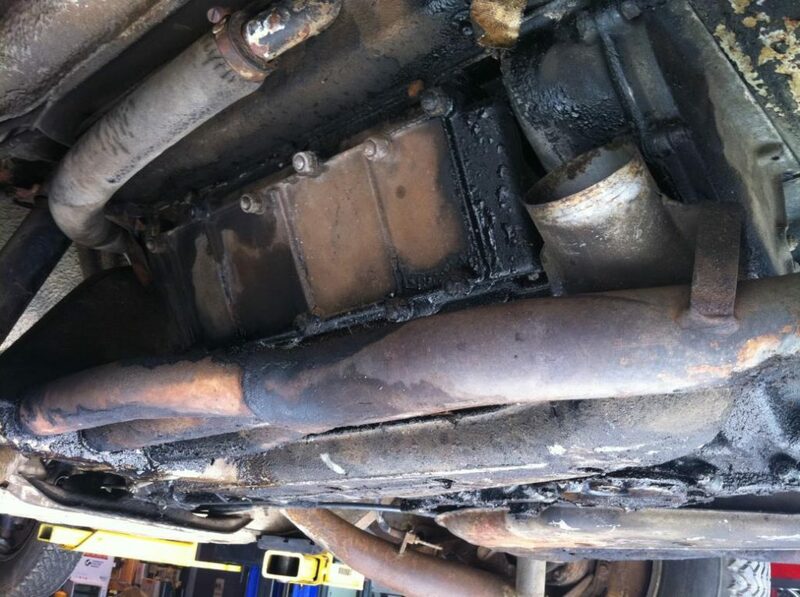 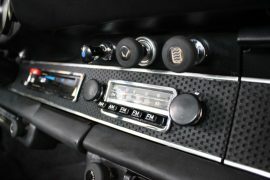 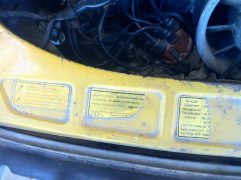 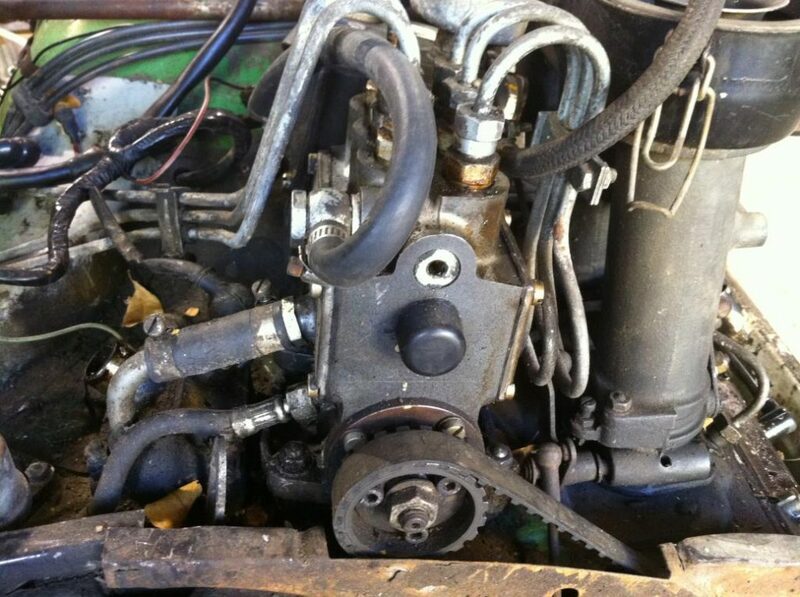 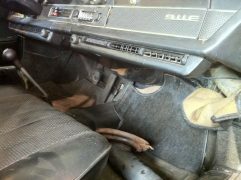 The car was completely in tact with all of the original components but was in desperate need of saving. 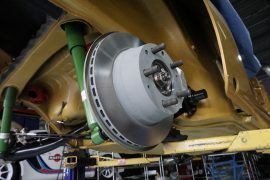 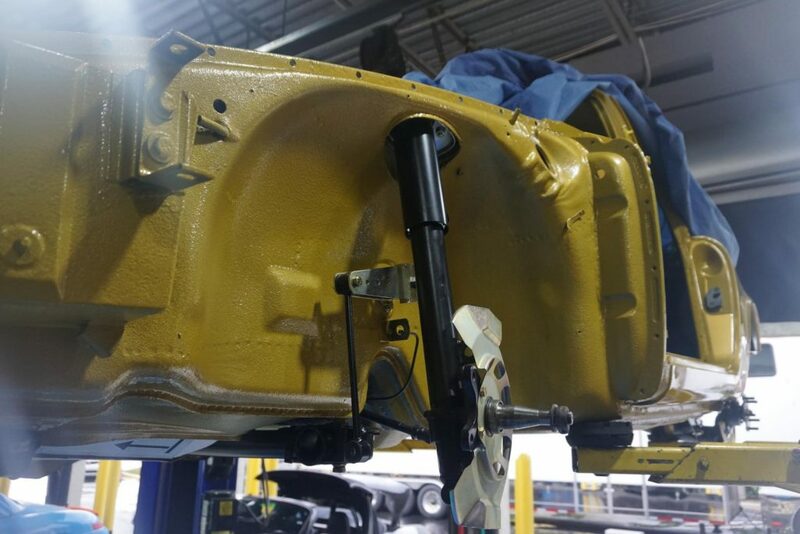 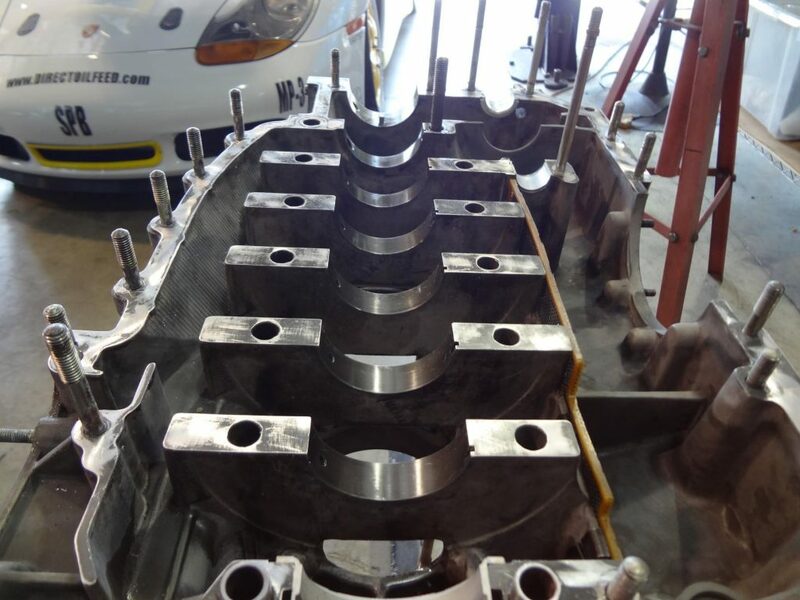 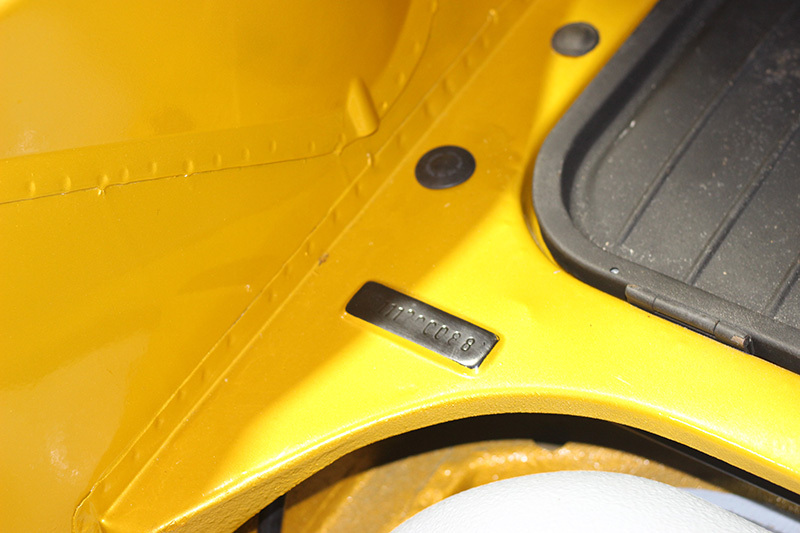 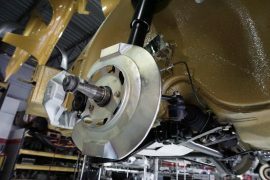 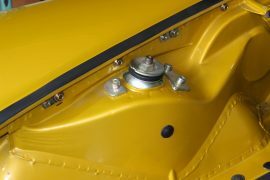 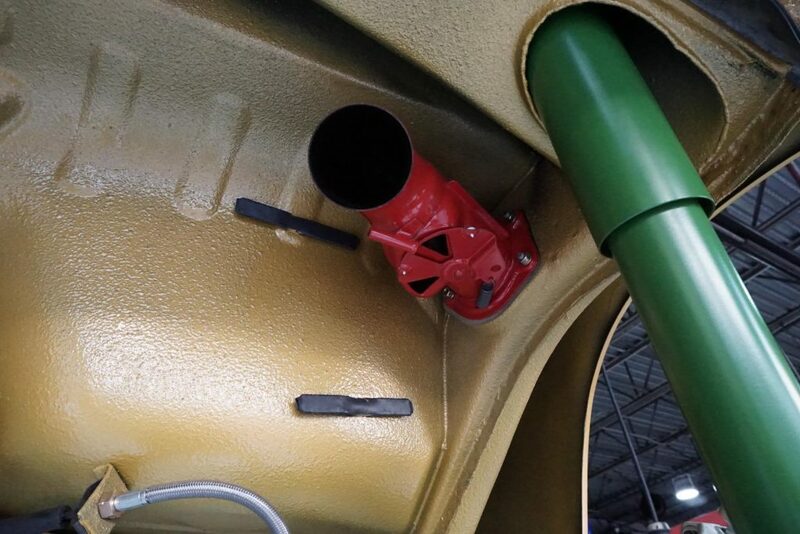 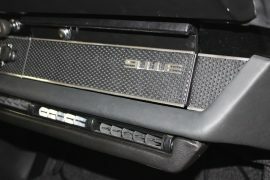 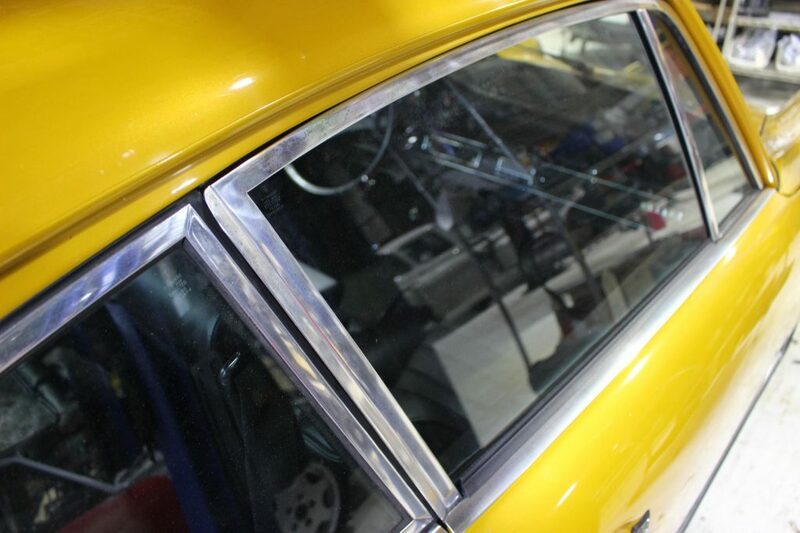 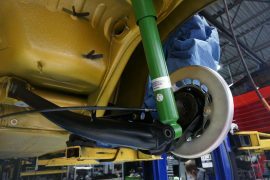 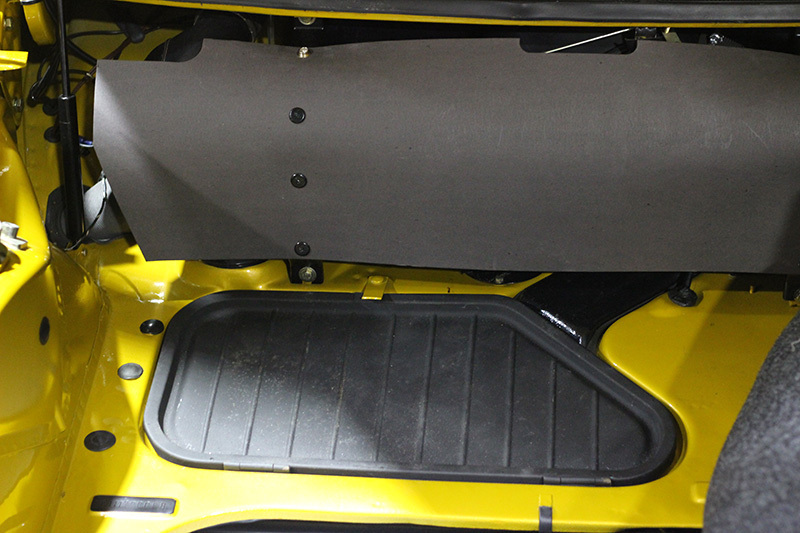 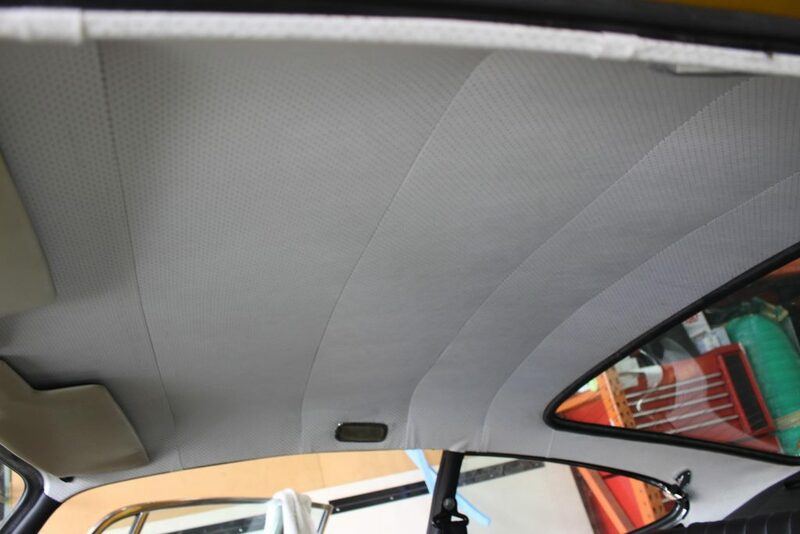 Below you can follow along the entire process from start to end and the platinum award winner this vehicle became! 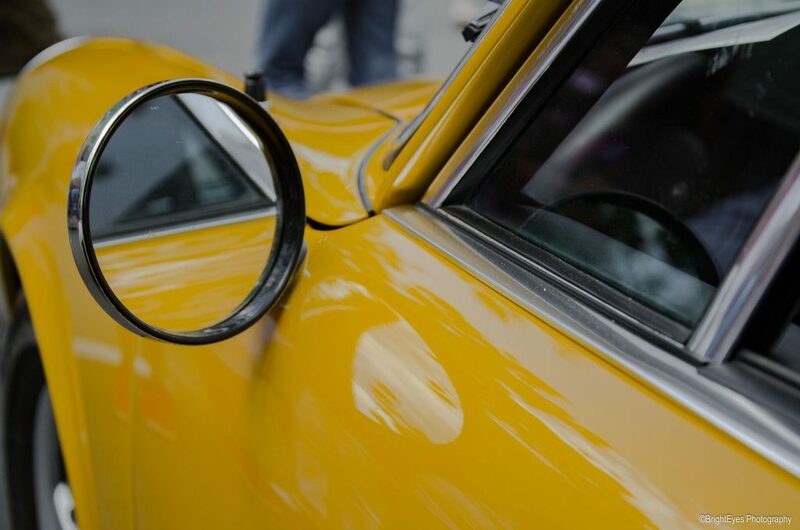 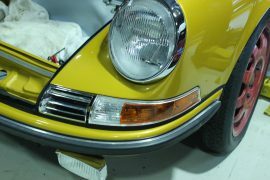 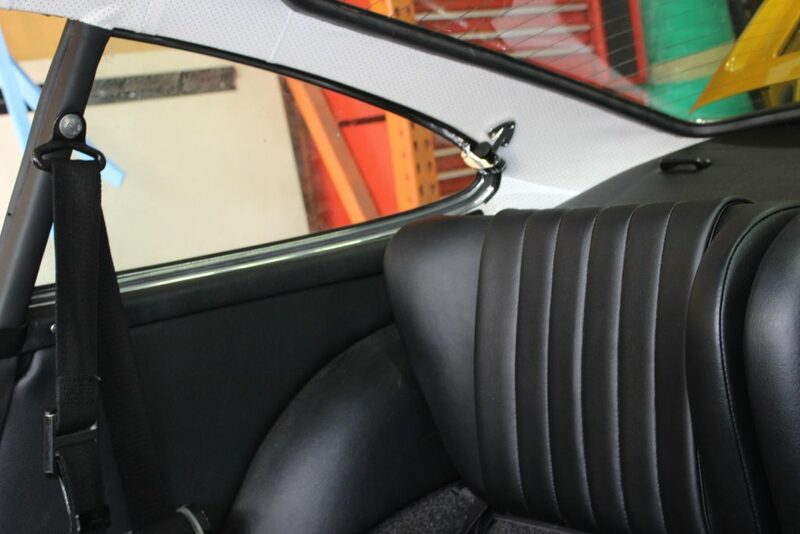 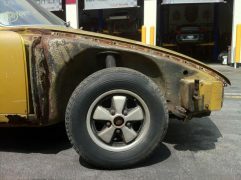 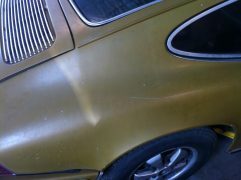 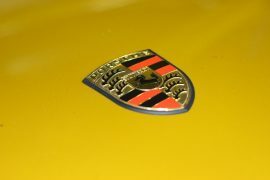 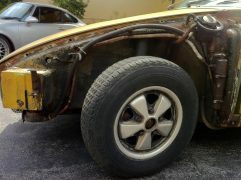 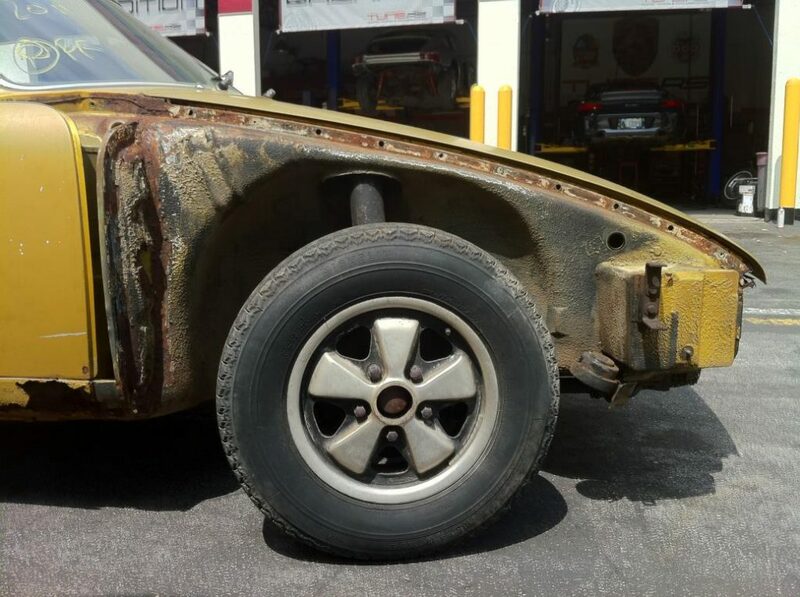 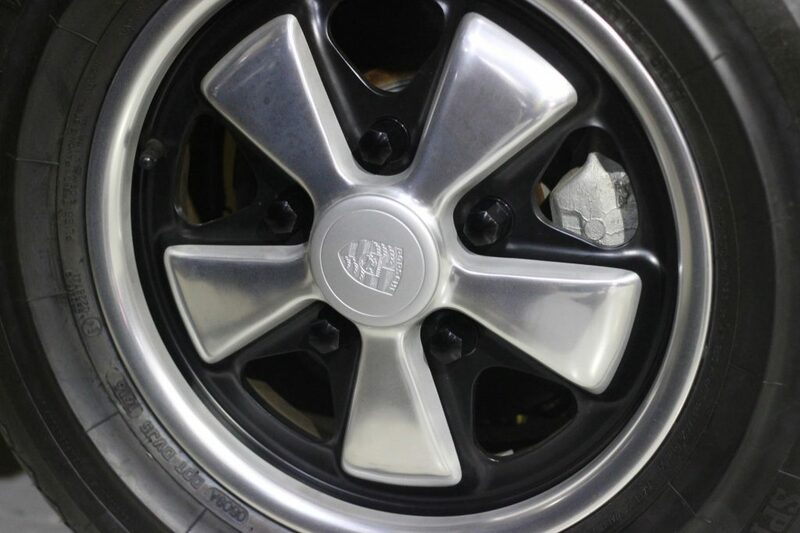 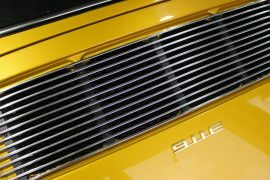 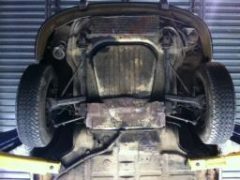 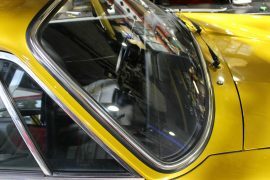 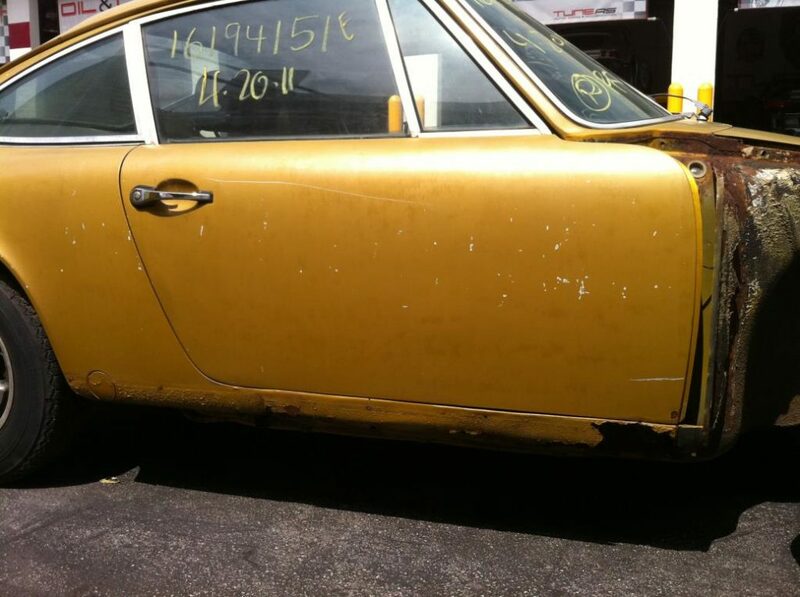 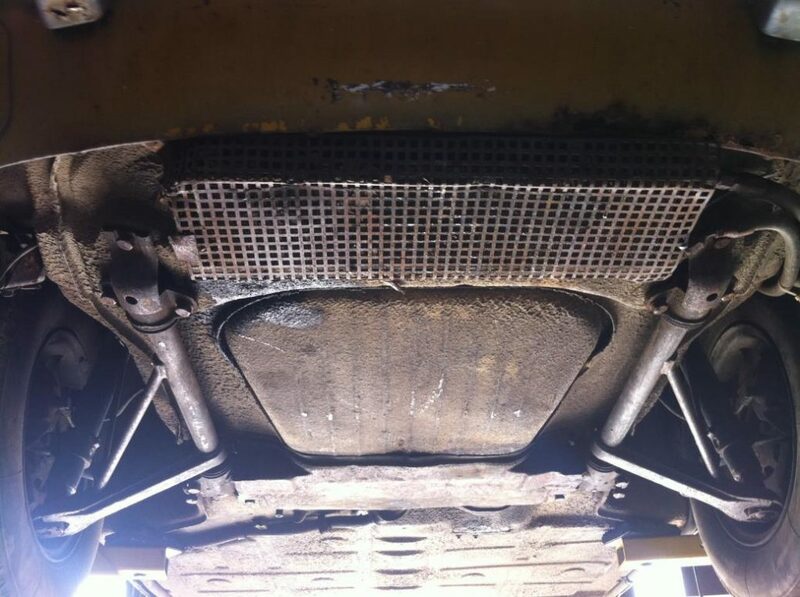 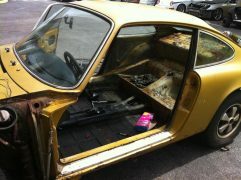 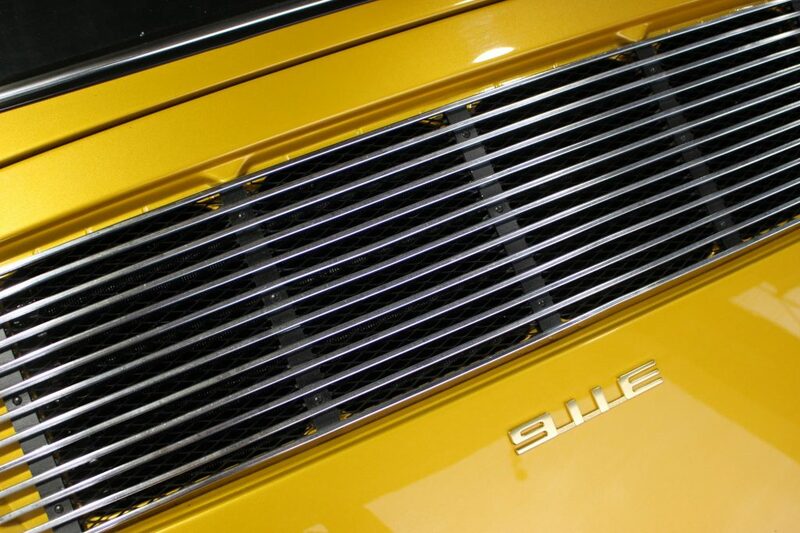 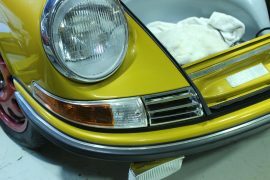 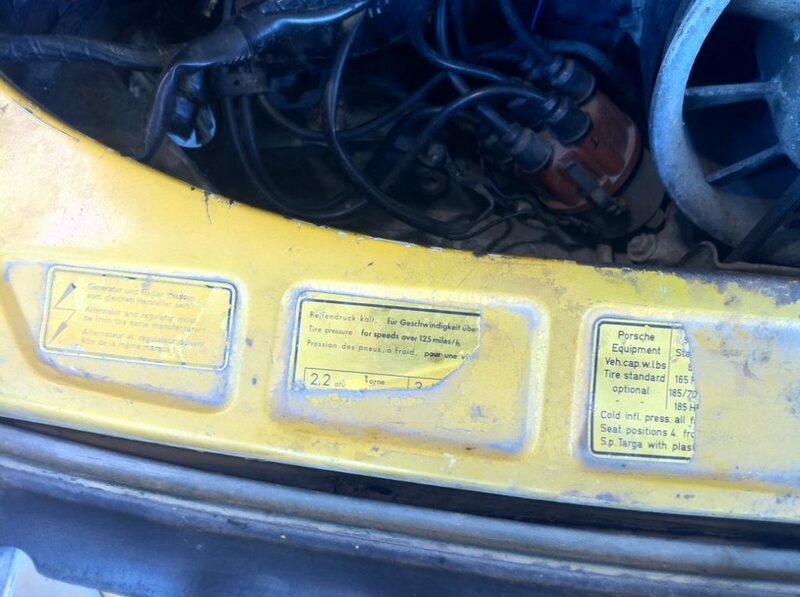 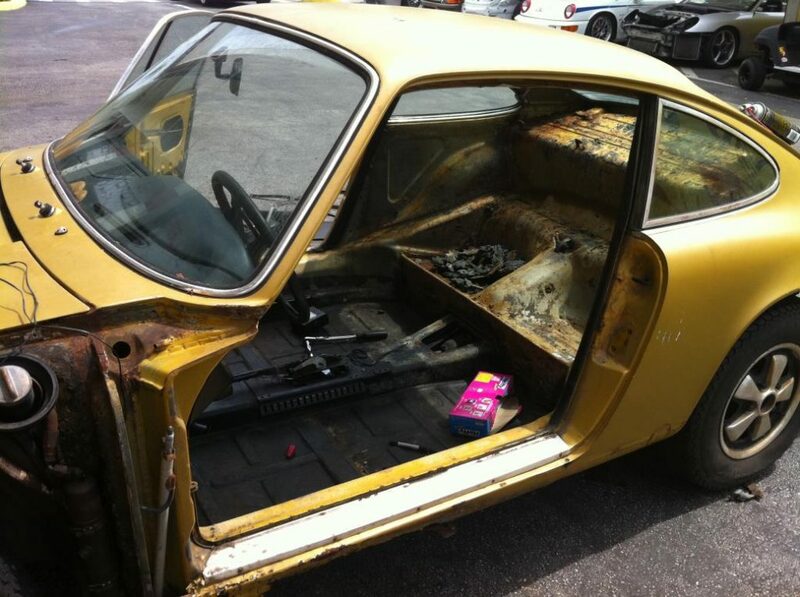 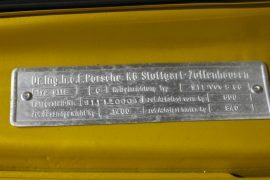 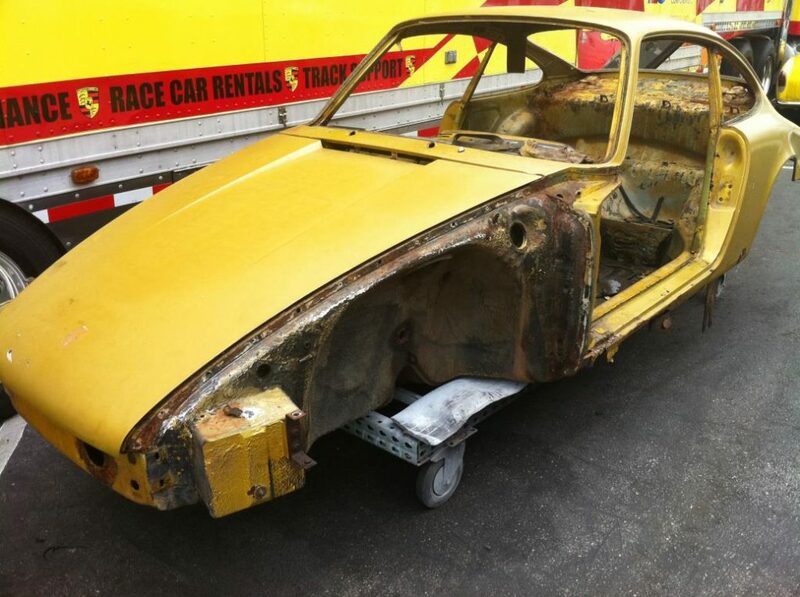 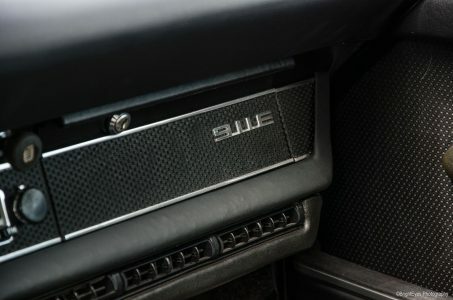 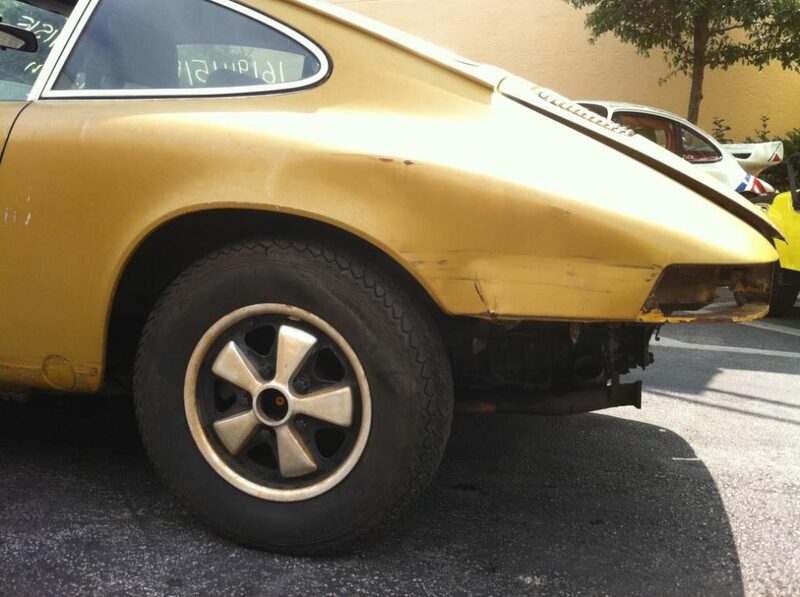 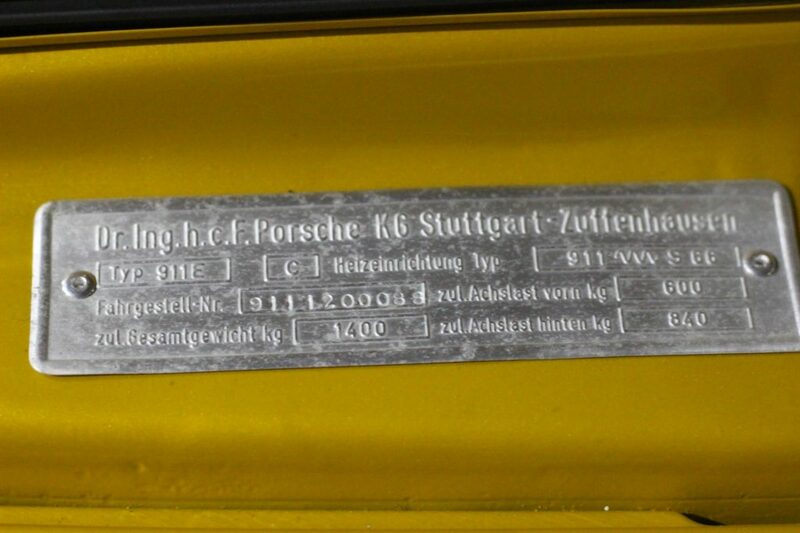 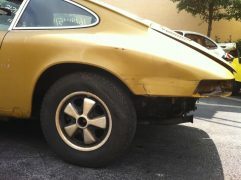 As you can see, this 911E was beat up and had seen some rough times over the years. 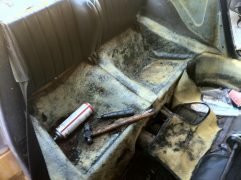 The vehicle had been left abandoned for some time outside and started to weather away. 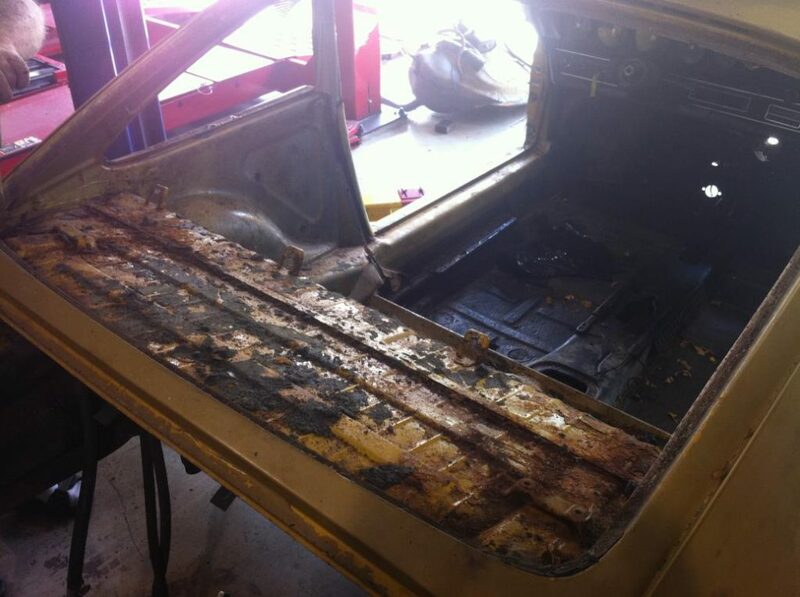 Below gallery shows the condition it arrived in to our facility before tearing it down to see what lied beneath. 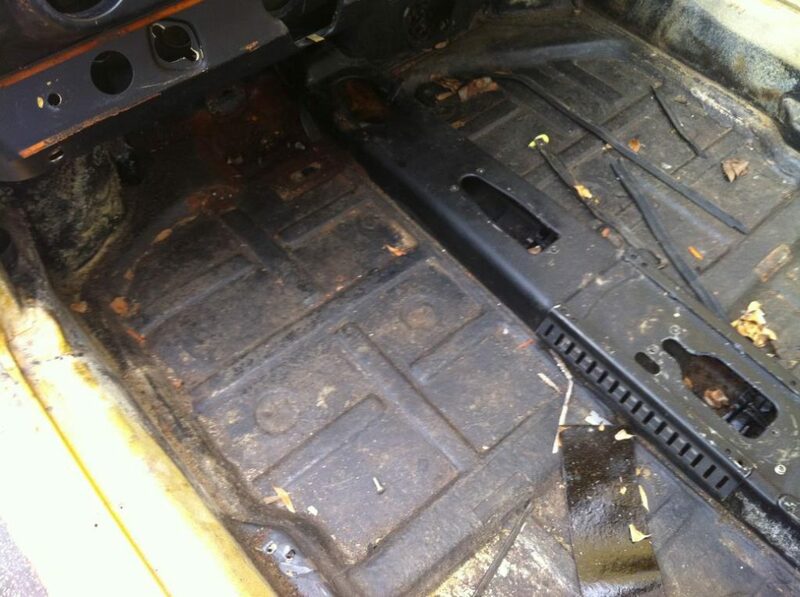 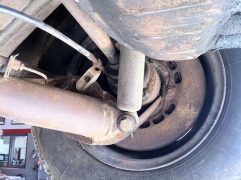 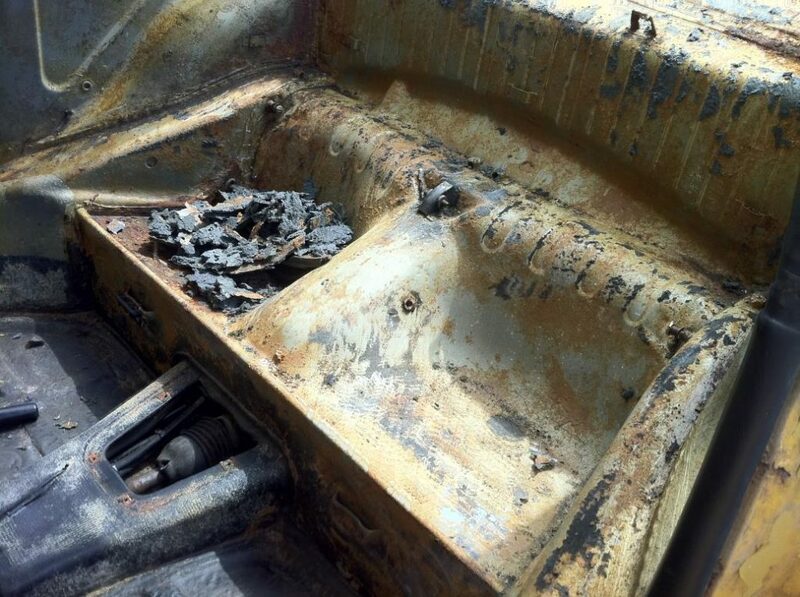 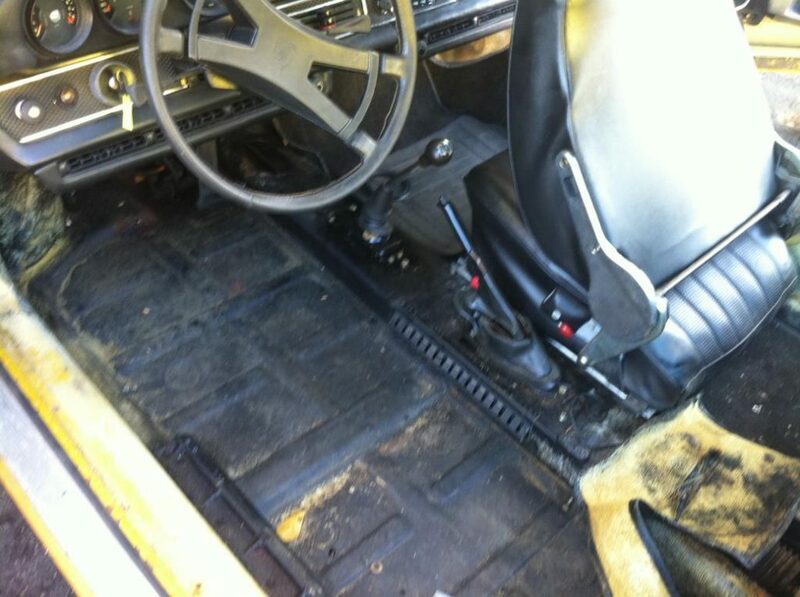 The vehicle had suffered a few areas of rust, but nothing cringe worthy (although it does look pretty rough). 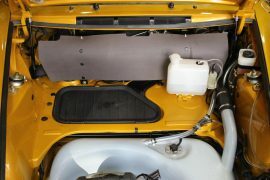 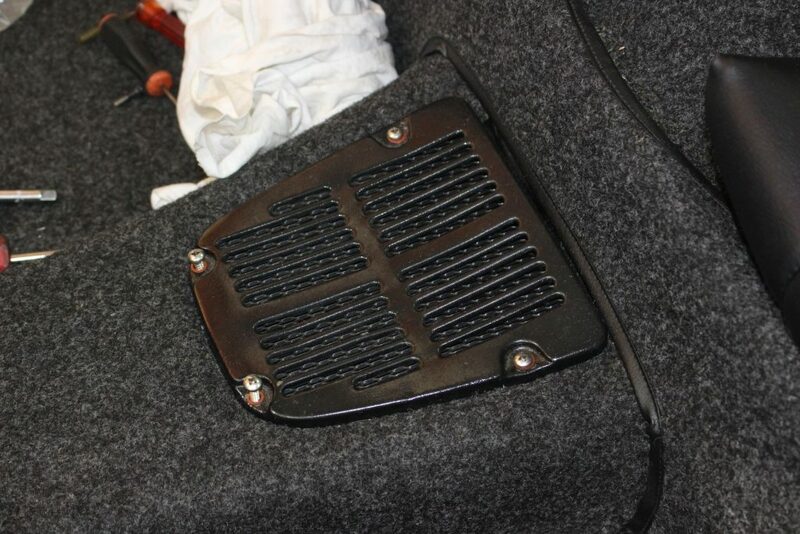 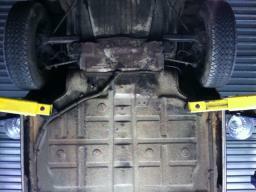 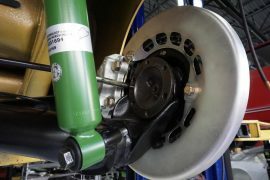 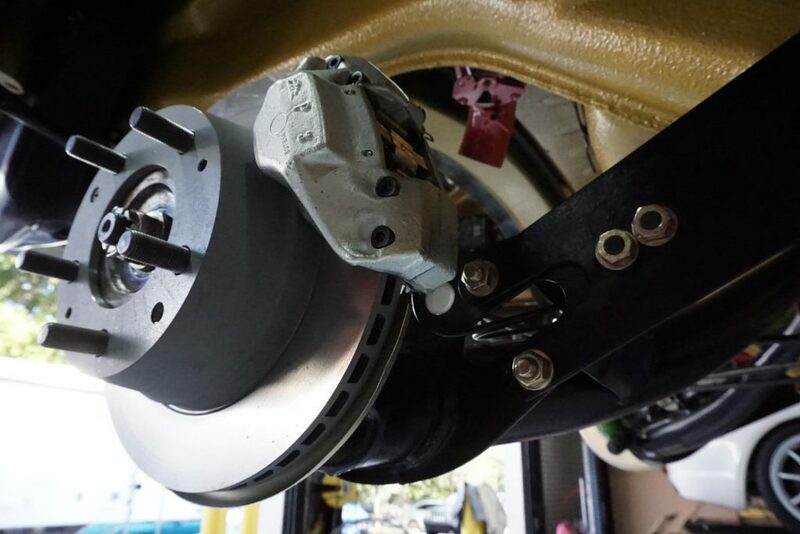 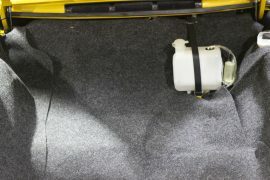 Everything was in tact, not a single component actually missing from the vehicle. 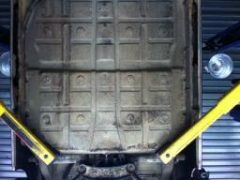 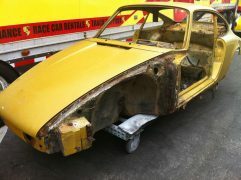 The entire car was stripped down in its entirety. Once completely torn down, it will be stripped of all paint and taken down to metal. 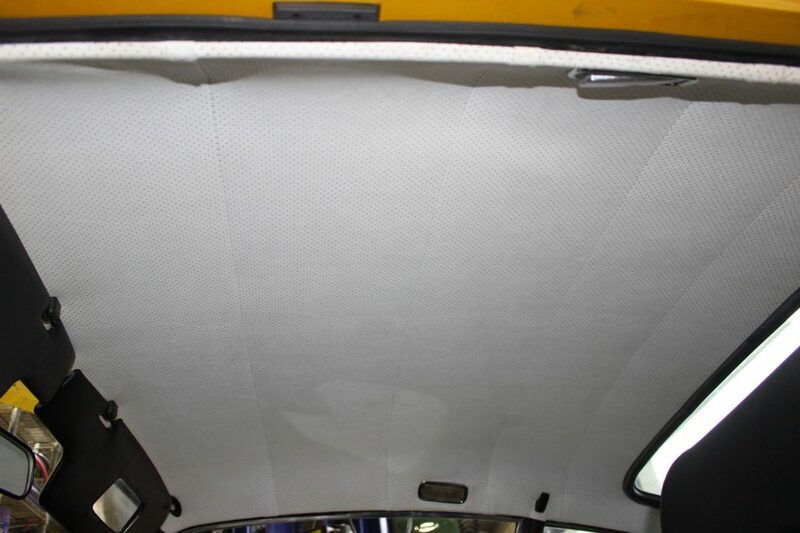 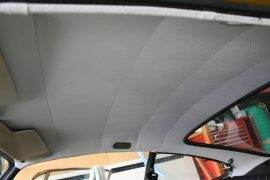 Some panels need to be replaced that are too far gone to be saved. 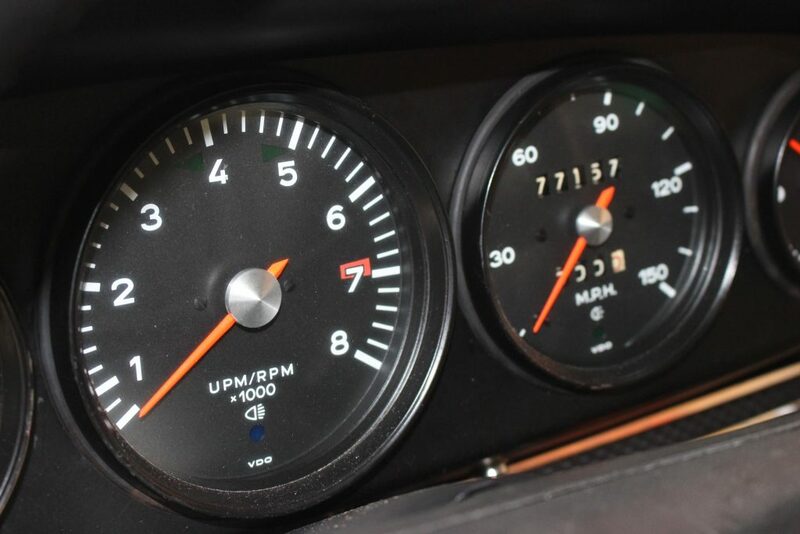 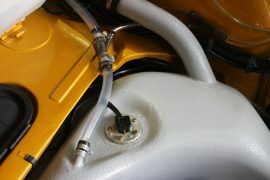 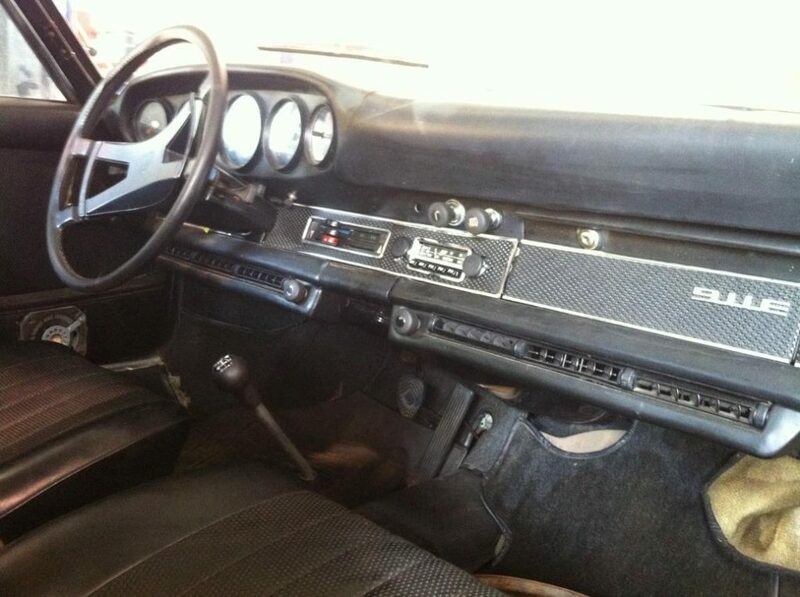 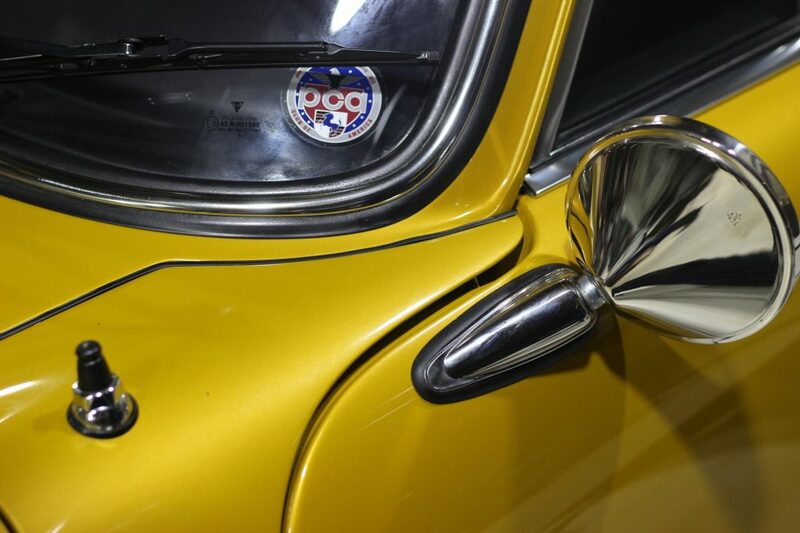 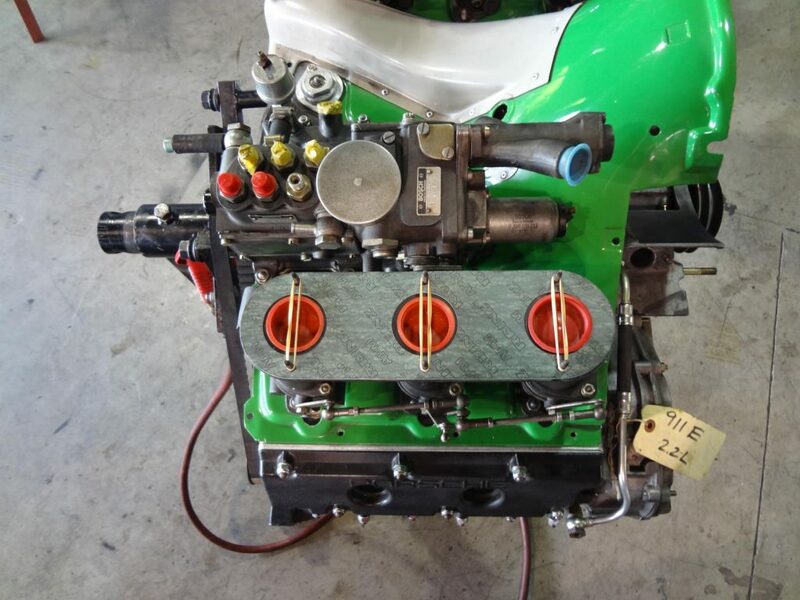 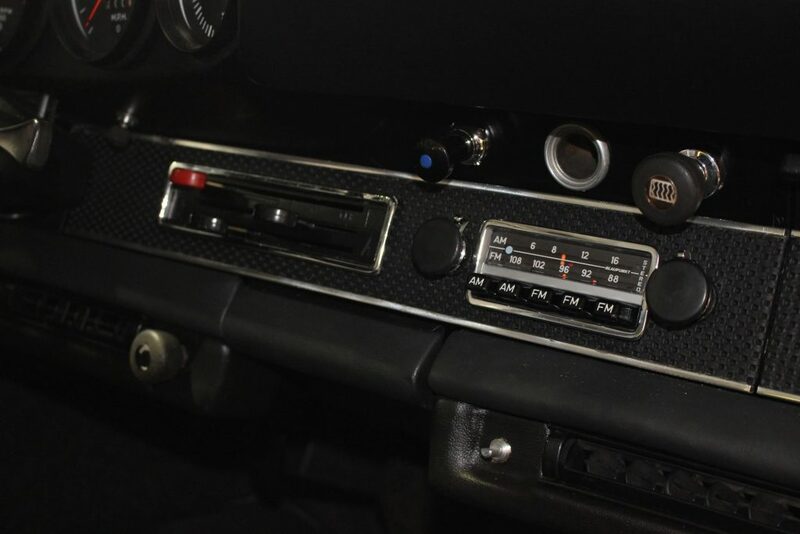 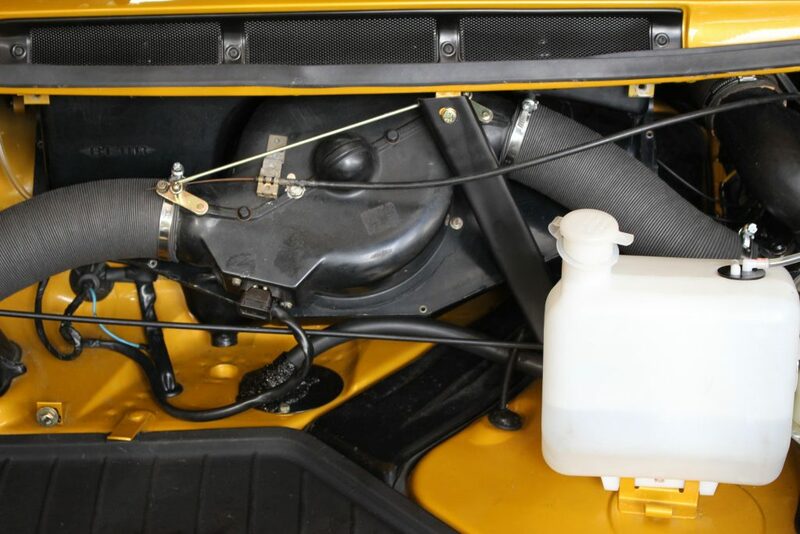 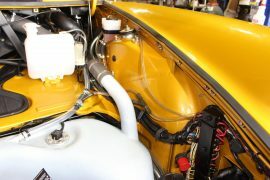 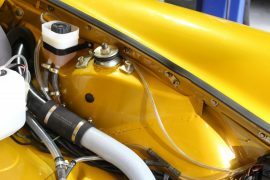 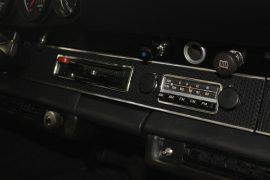 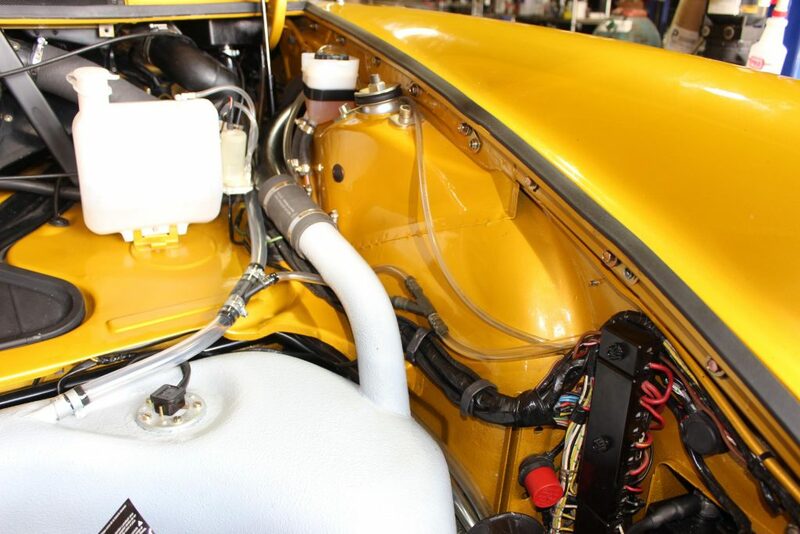 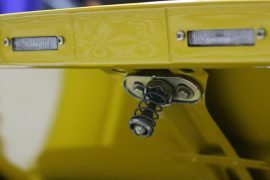 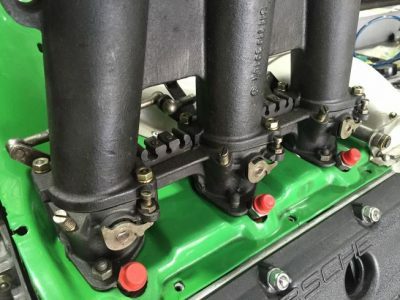 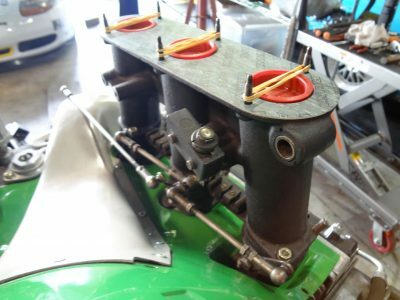 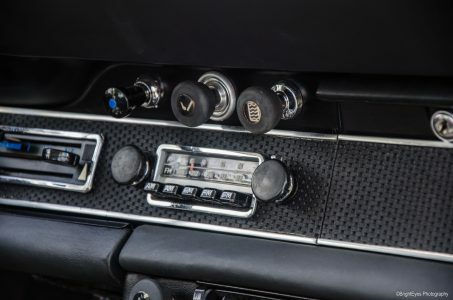 Matching numbers, mechanical fuel injected 2.2L. 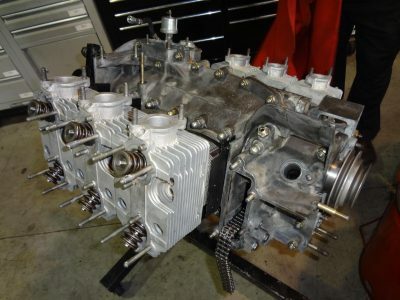 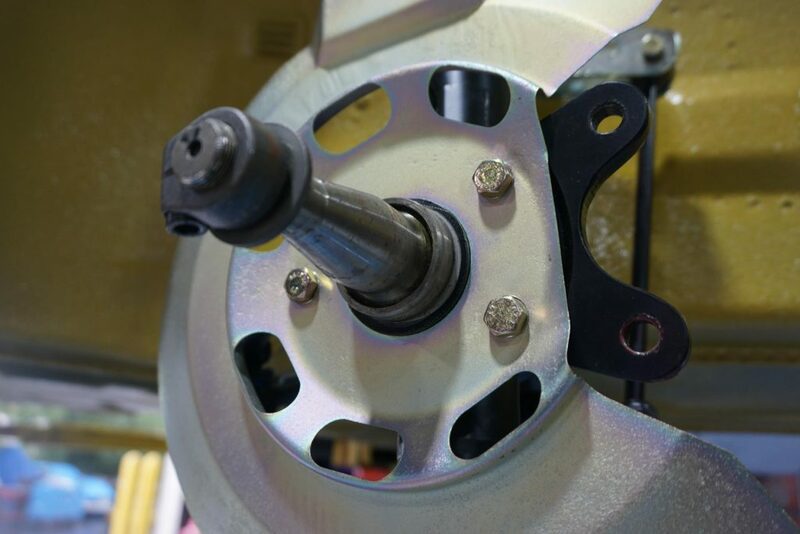 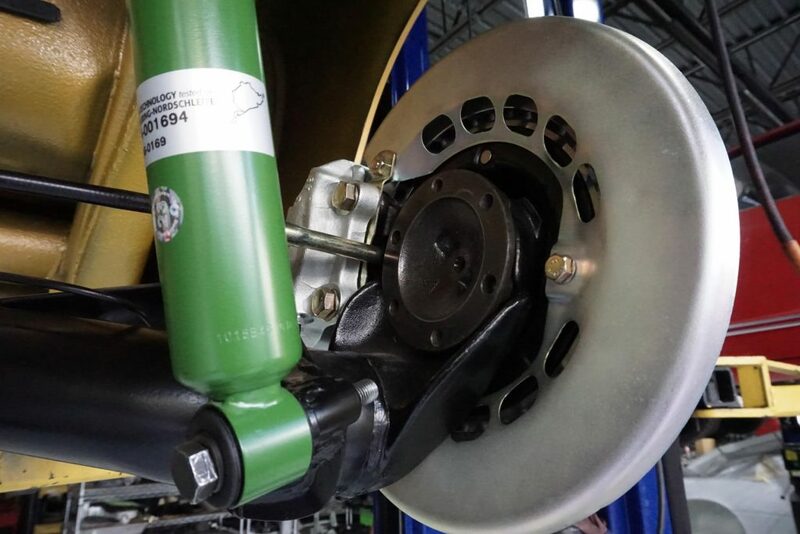 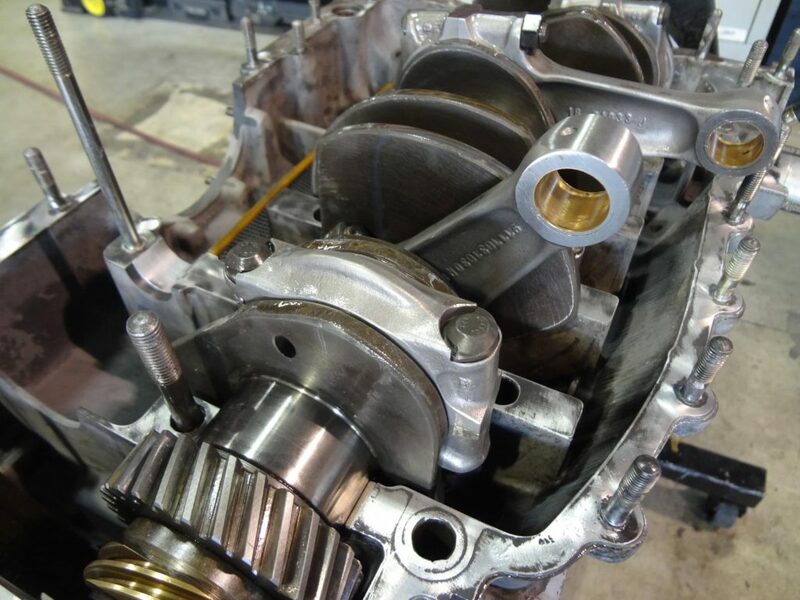 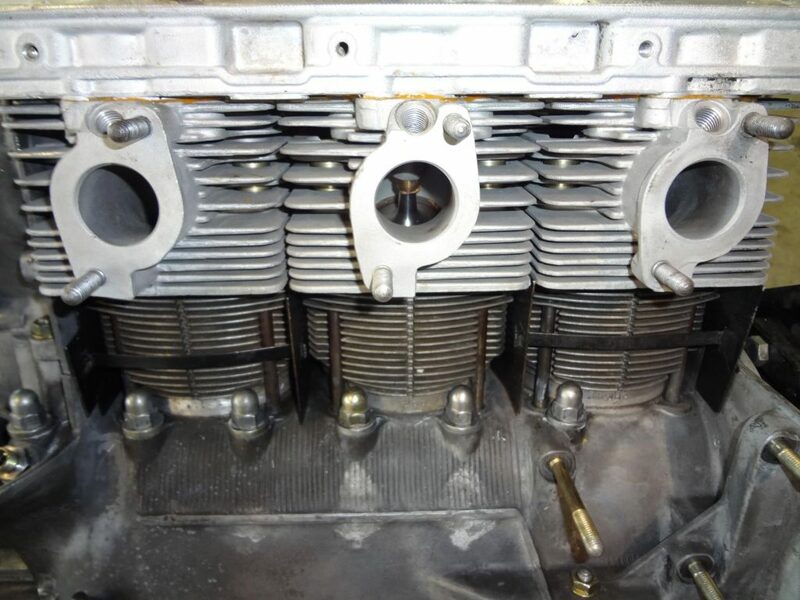 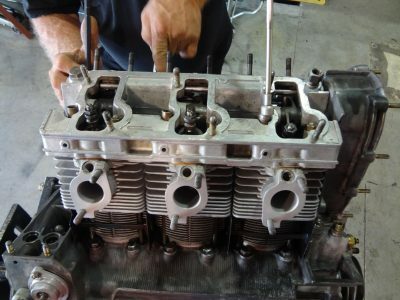 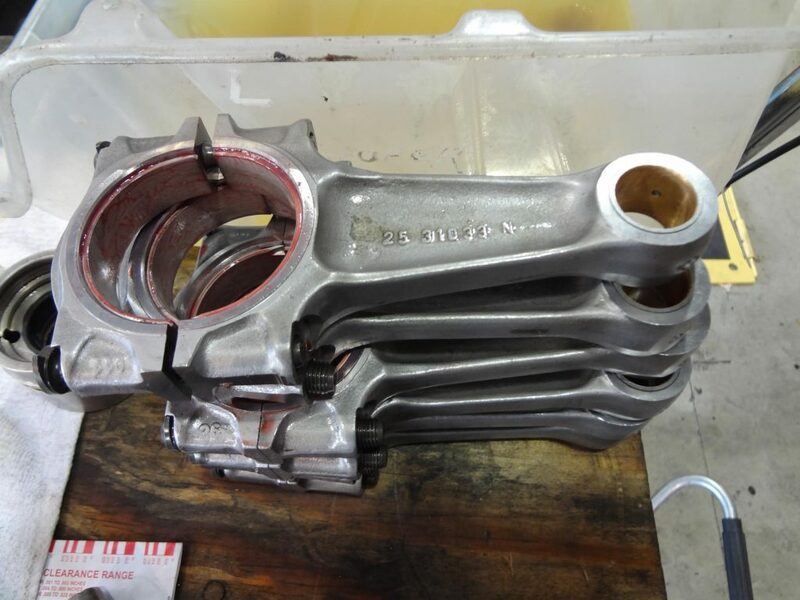 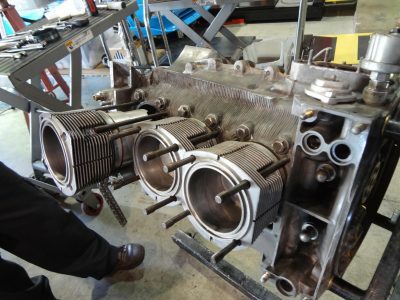 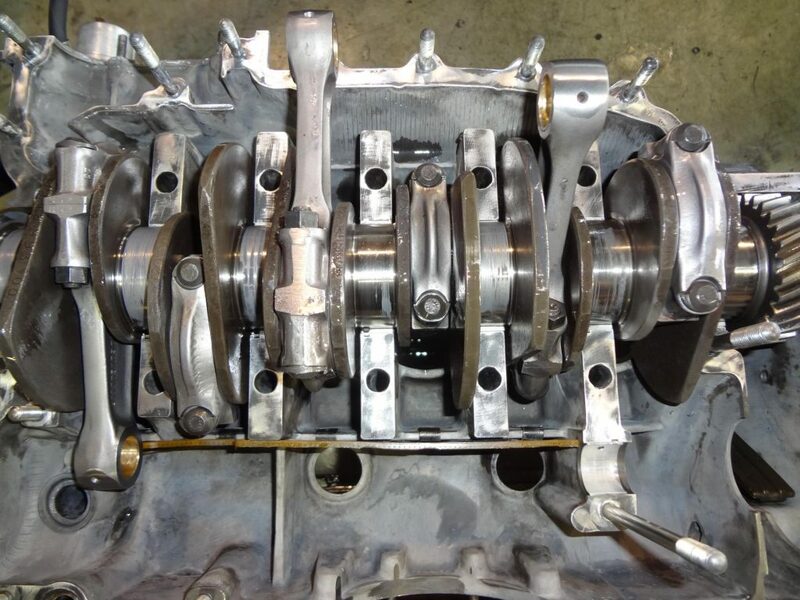 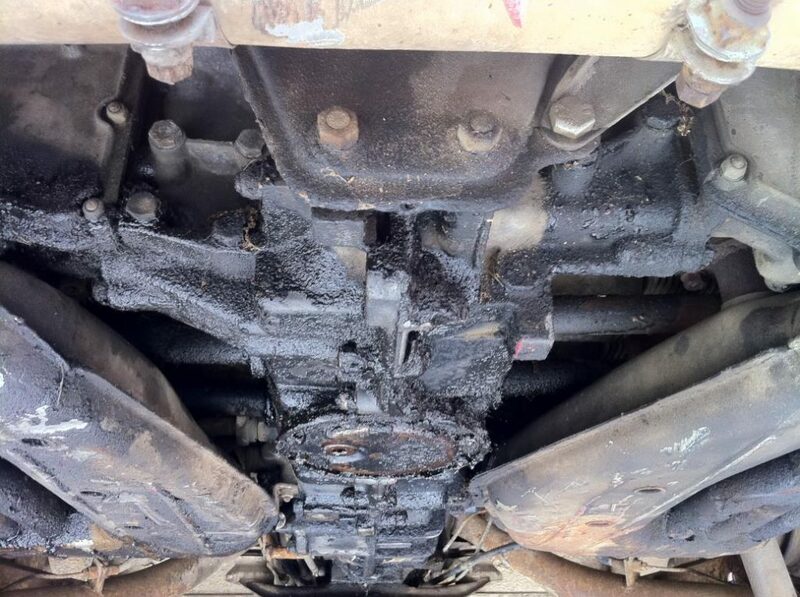 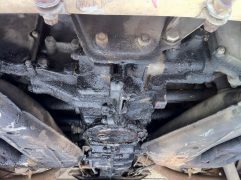 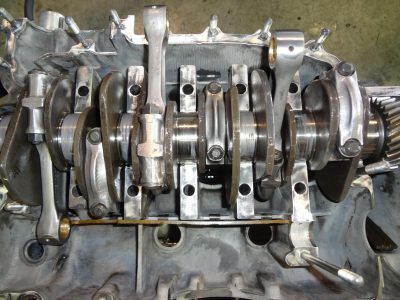 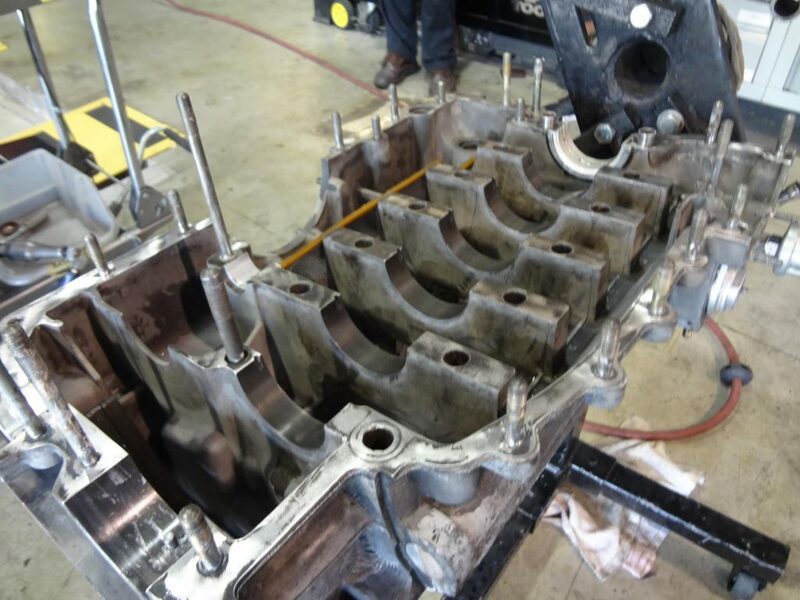 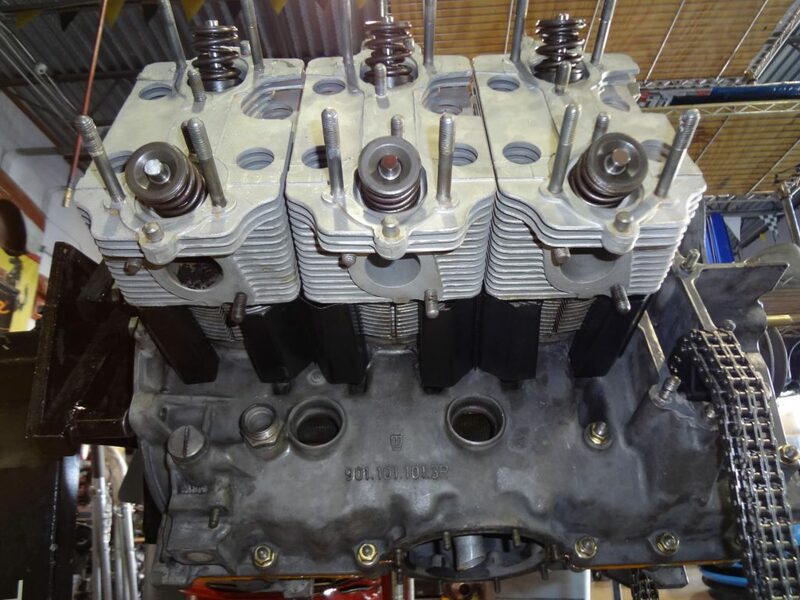 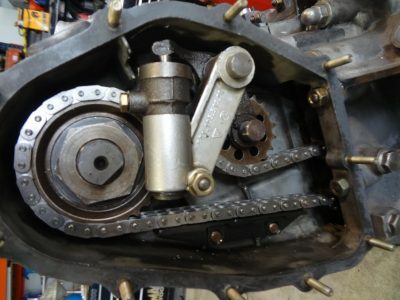 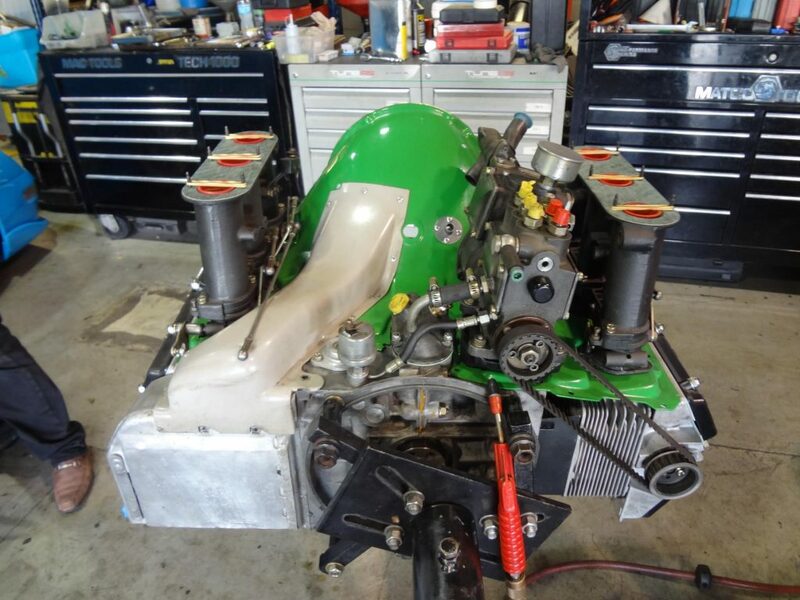 The vehicle was surprisingly running when we received it, even in this condition, but it still warranted a complete tear down and rebuild from the crank up. 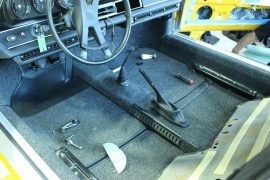 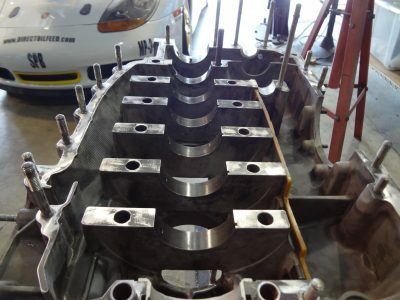 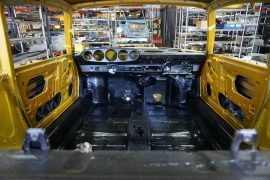 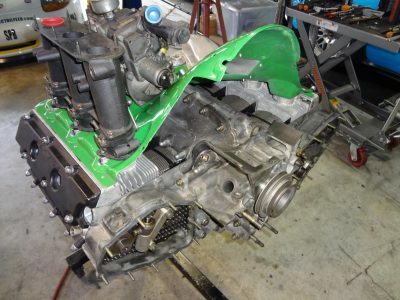 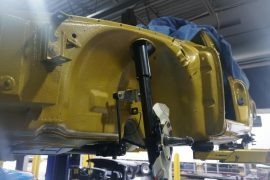 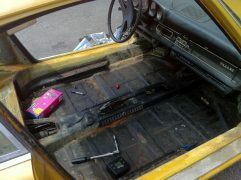 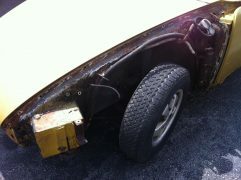 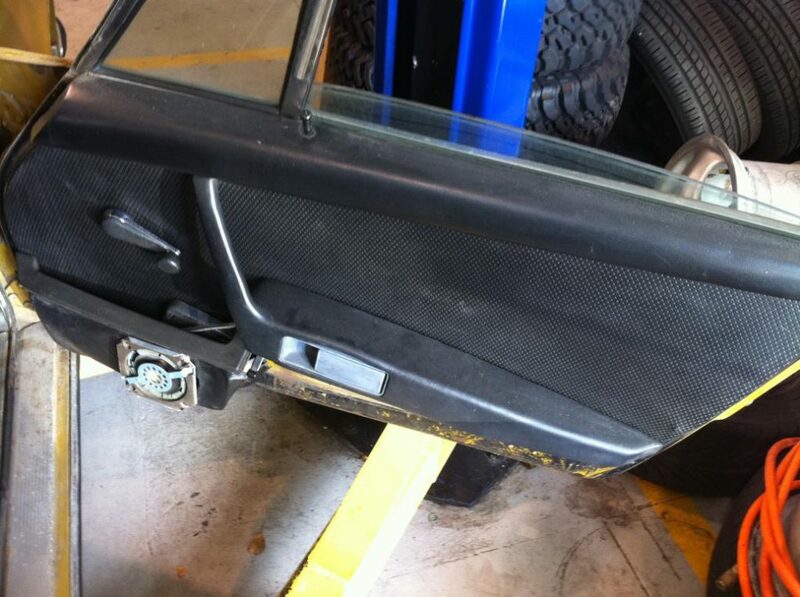 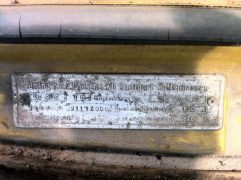 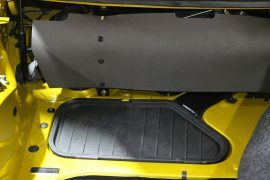 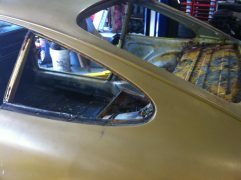 After teardown, the body was sent to fabrication to have new quarter panels, floor panels and rocker panels installed. 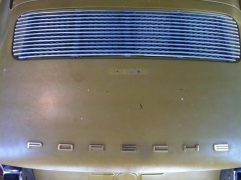 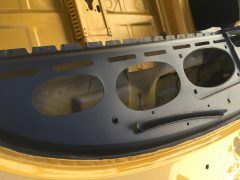 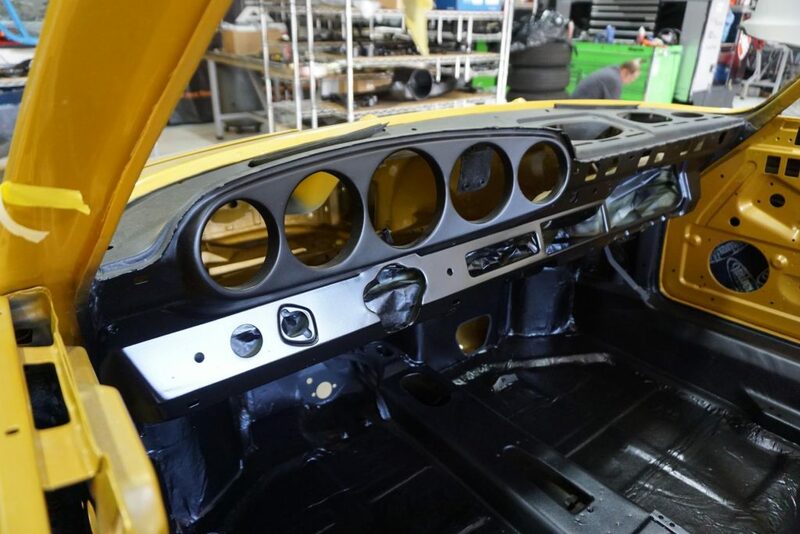 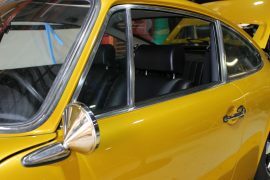 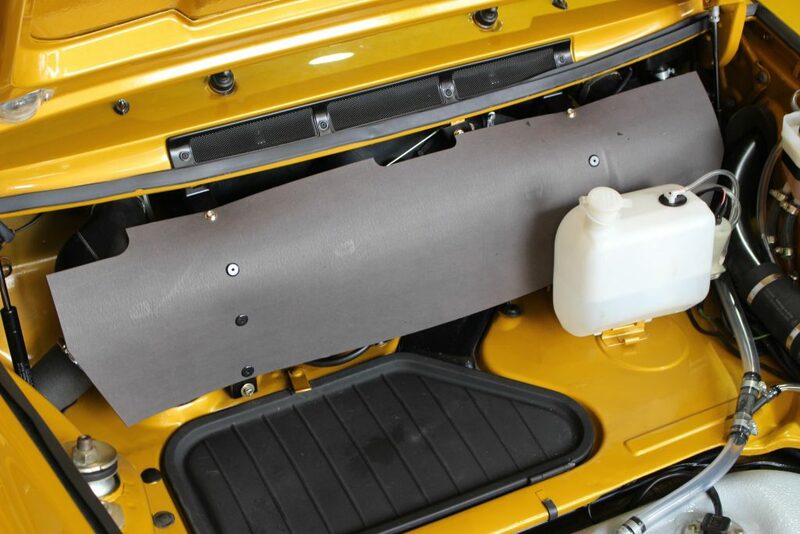 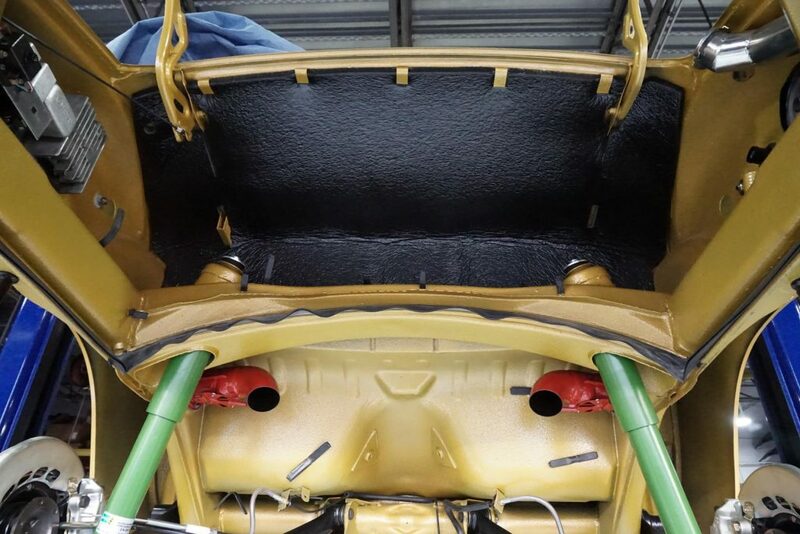 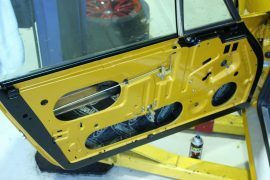 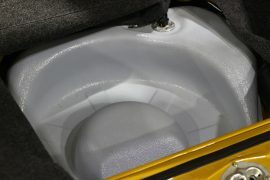 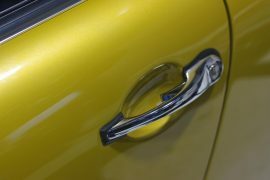 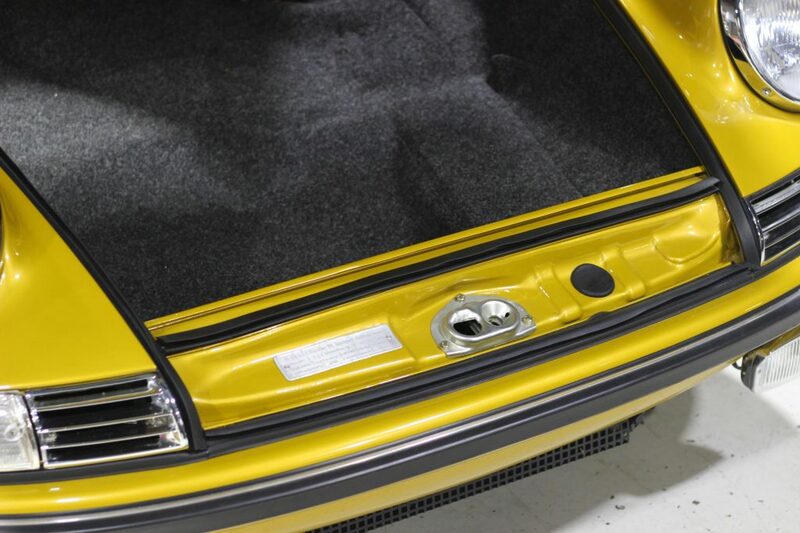 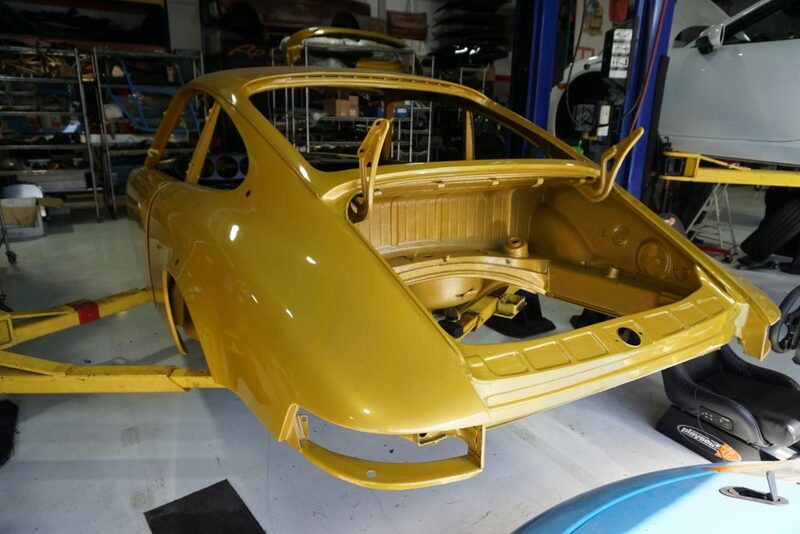 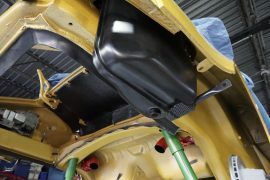 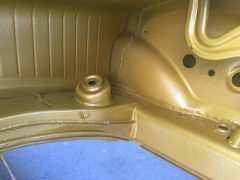 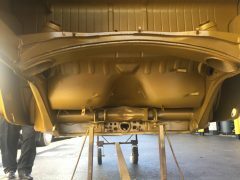 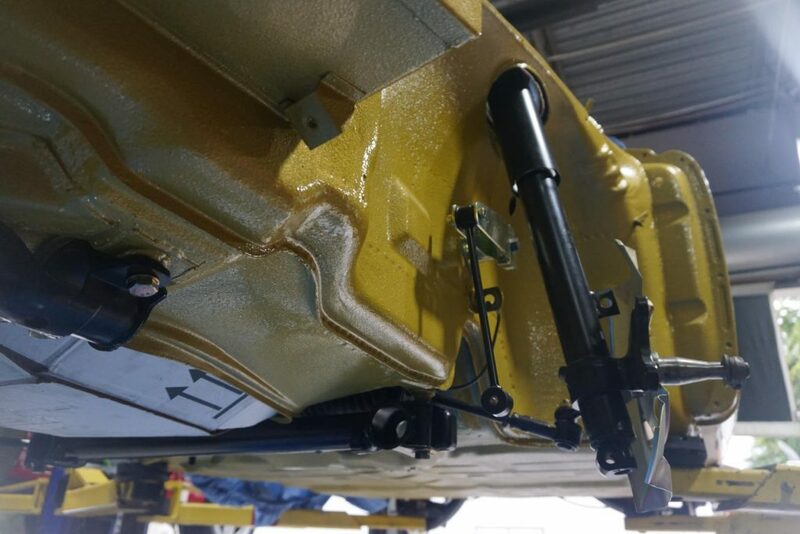 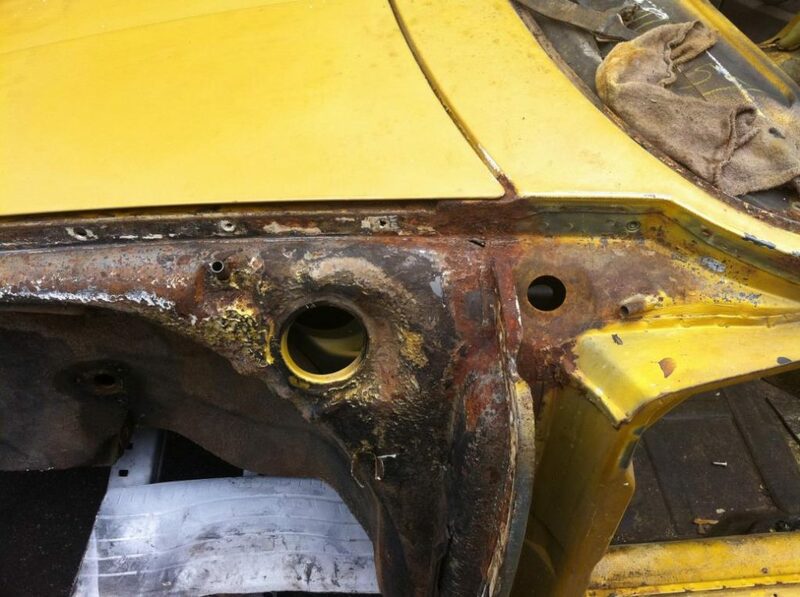 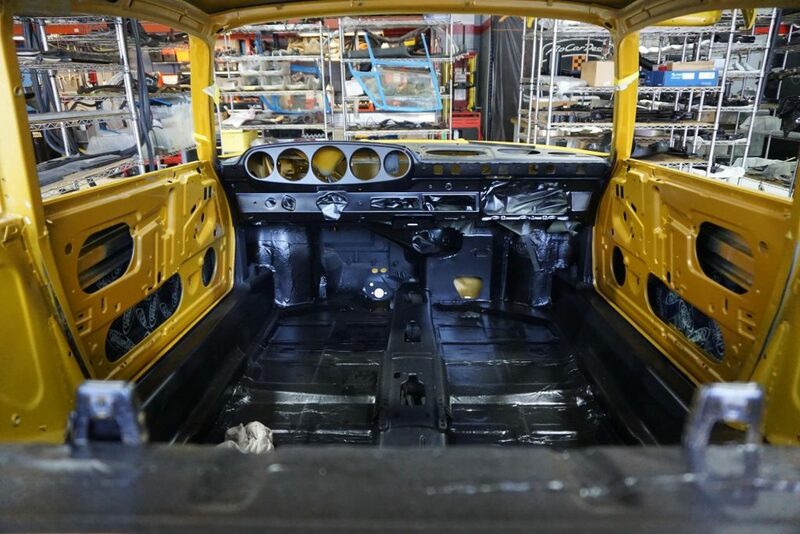 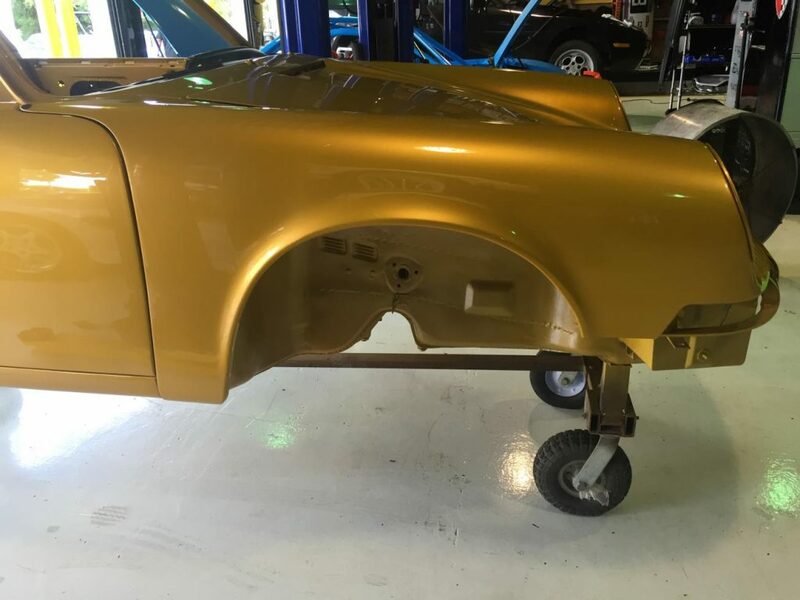 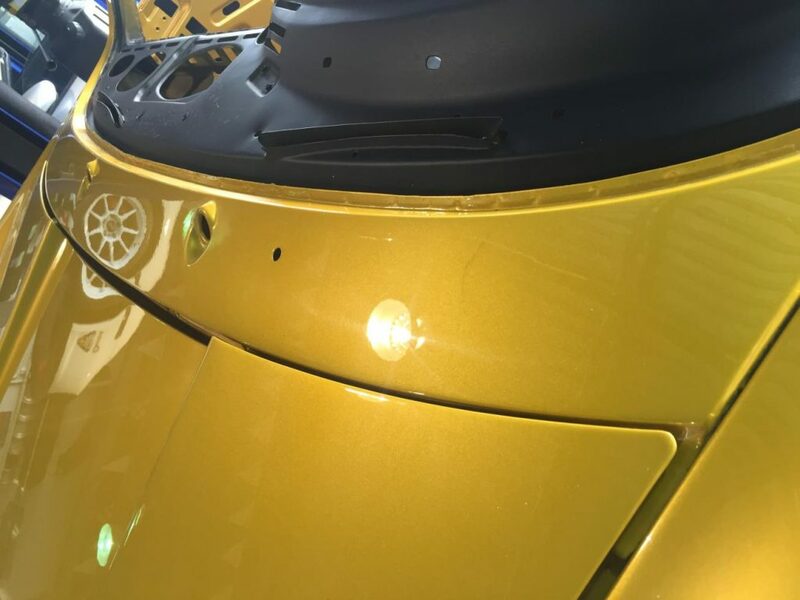 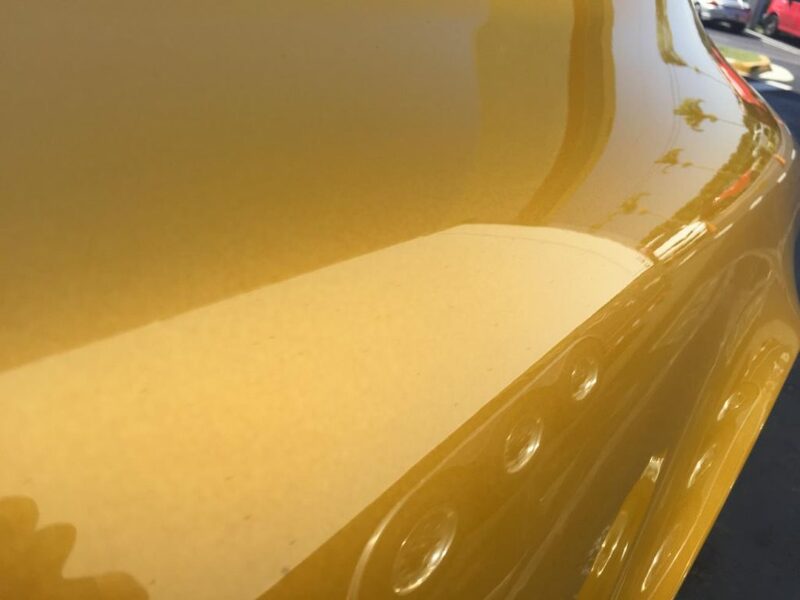 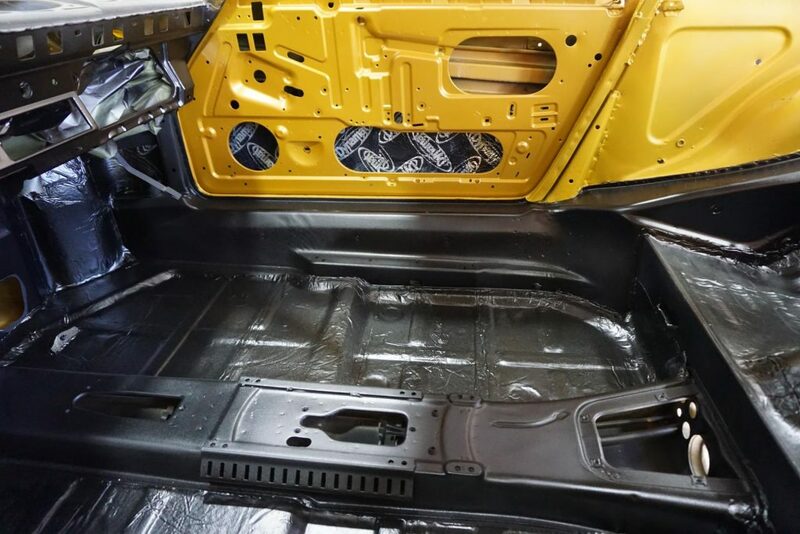 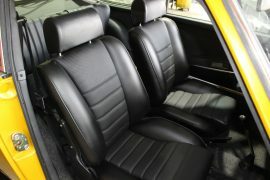 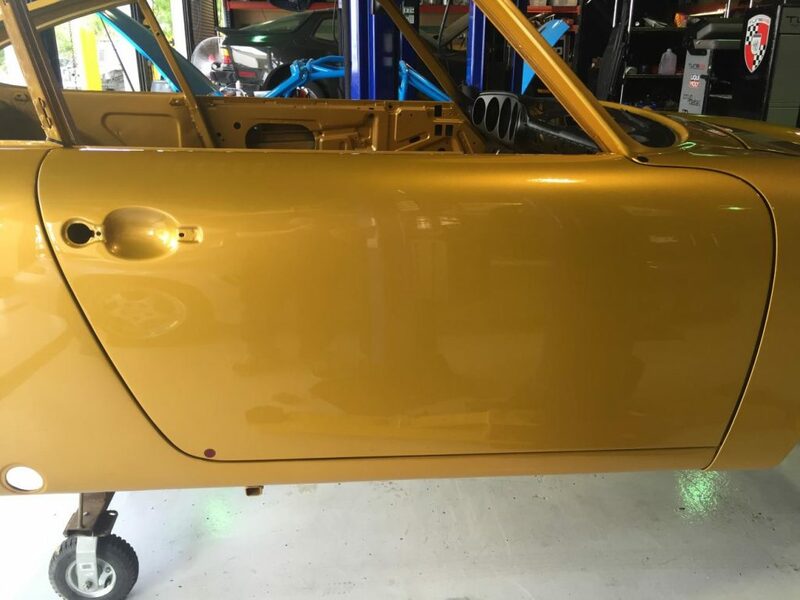 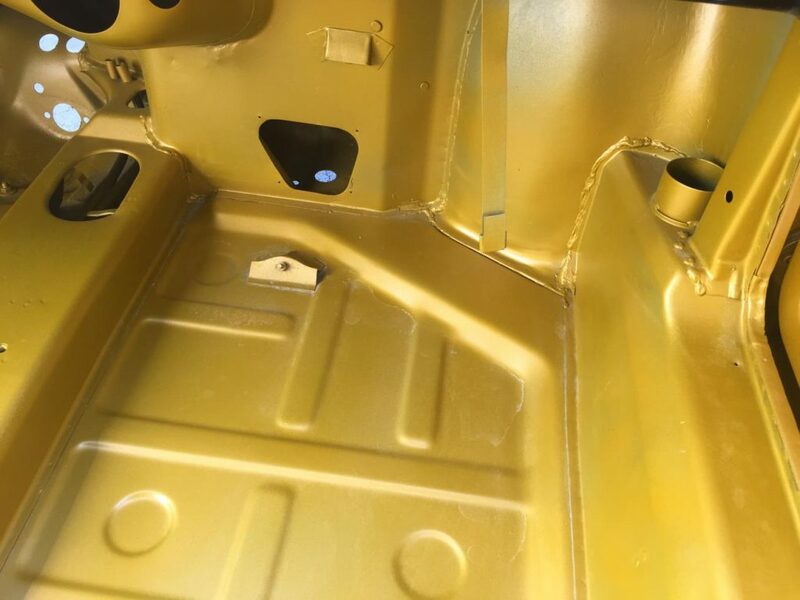 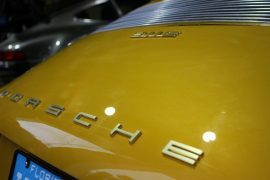 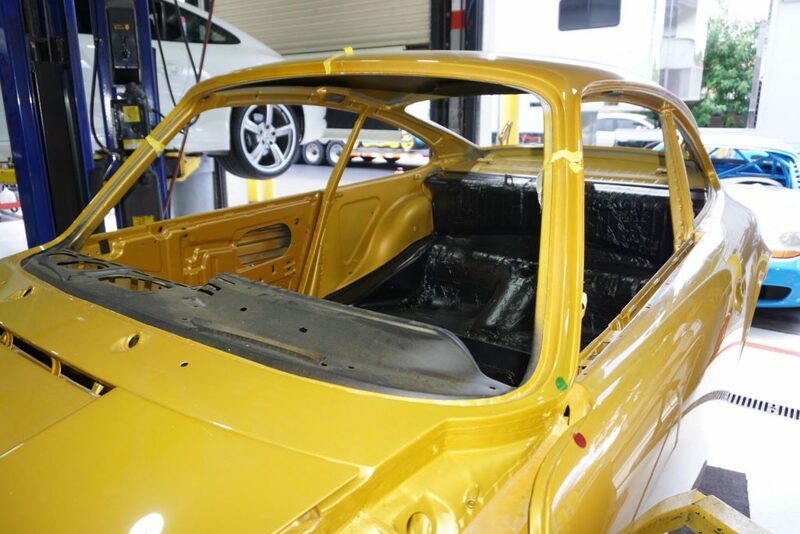 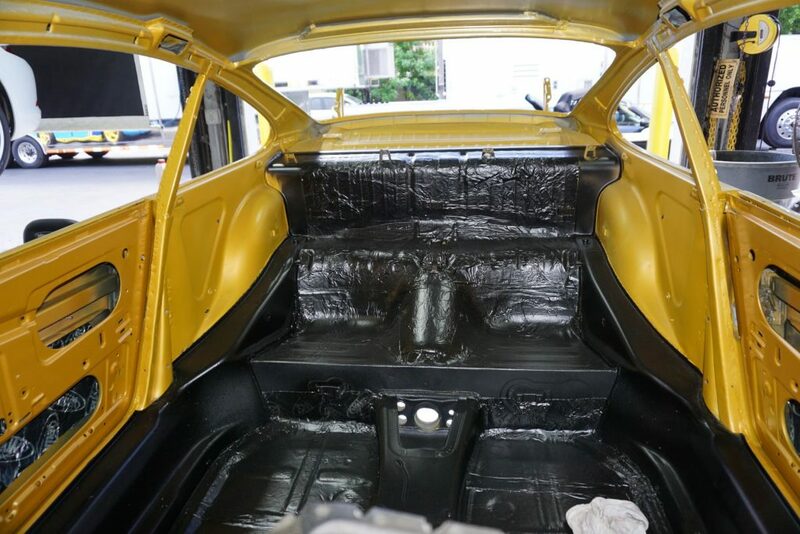 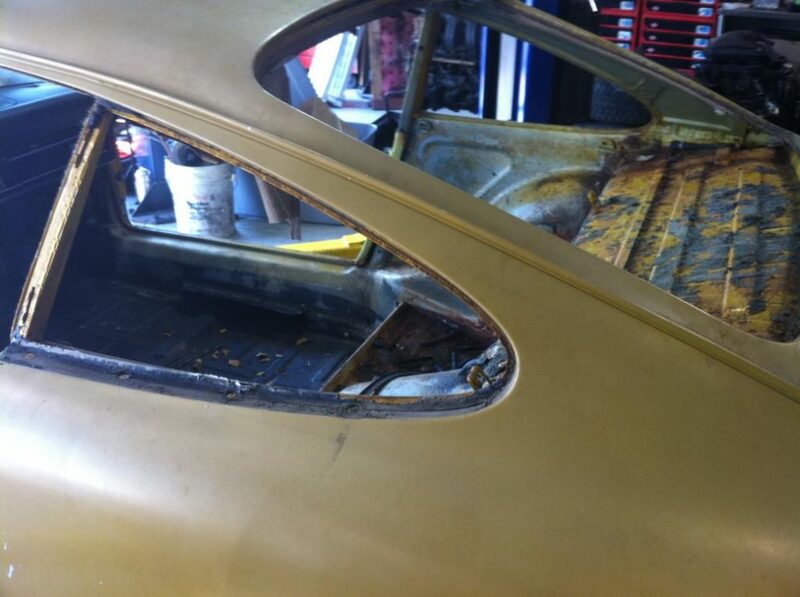 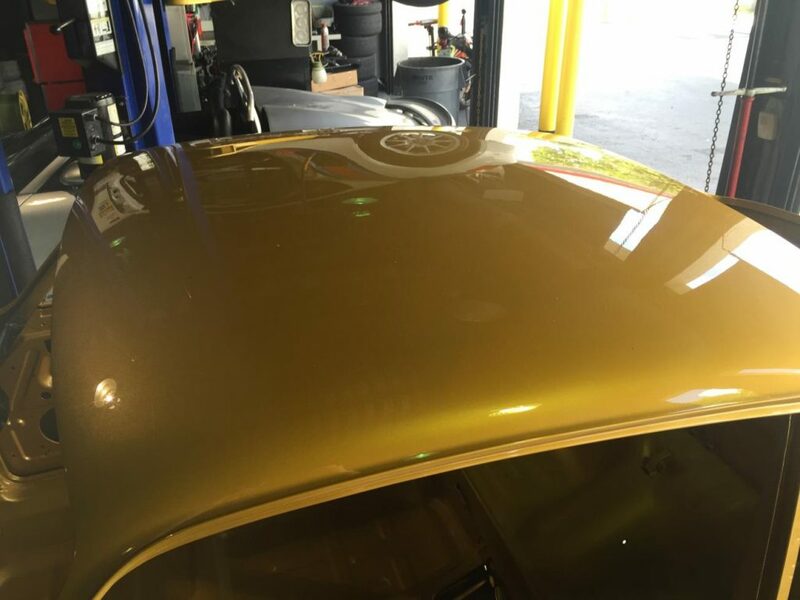 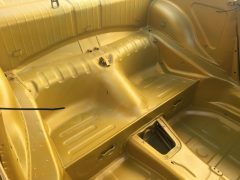 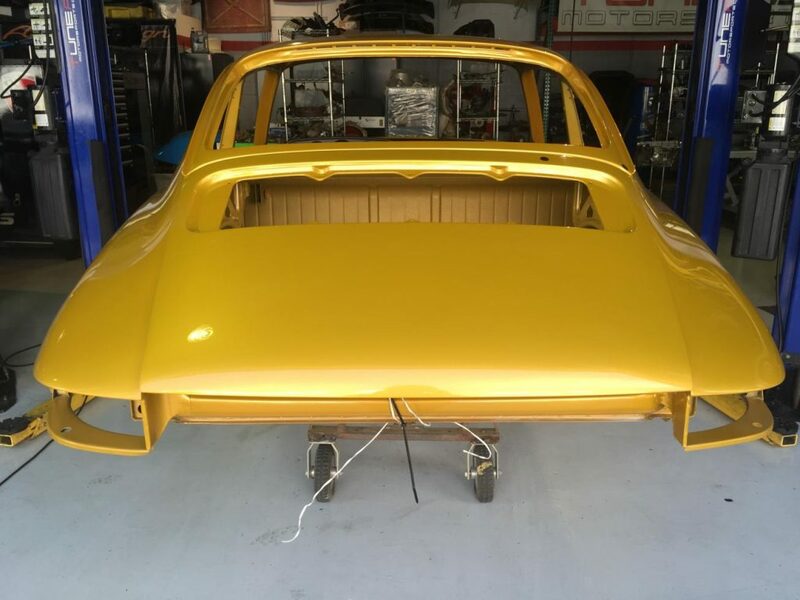 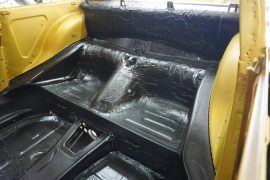 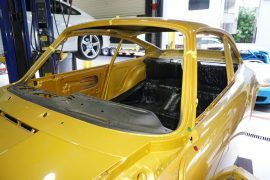 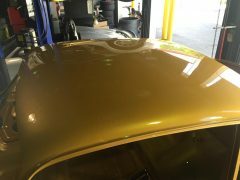 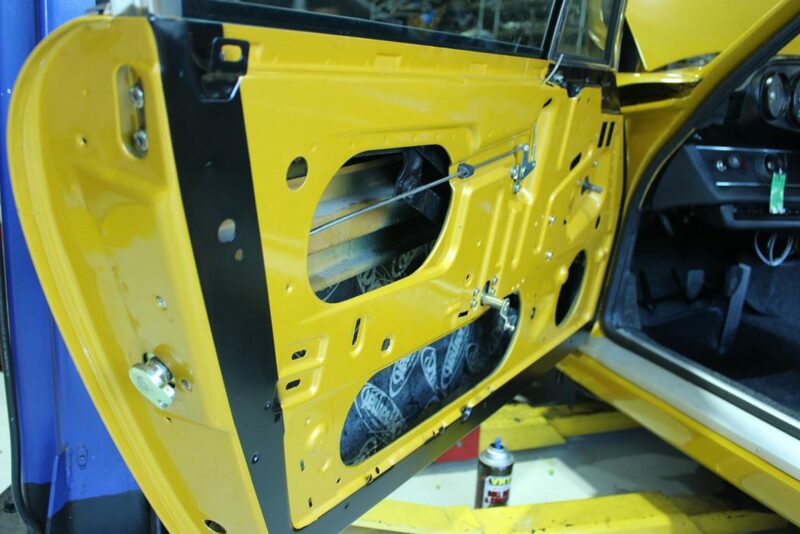 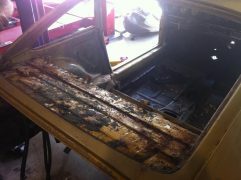 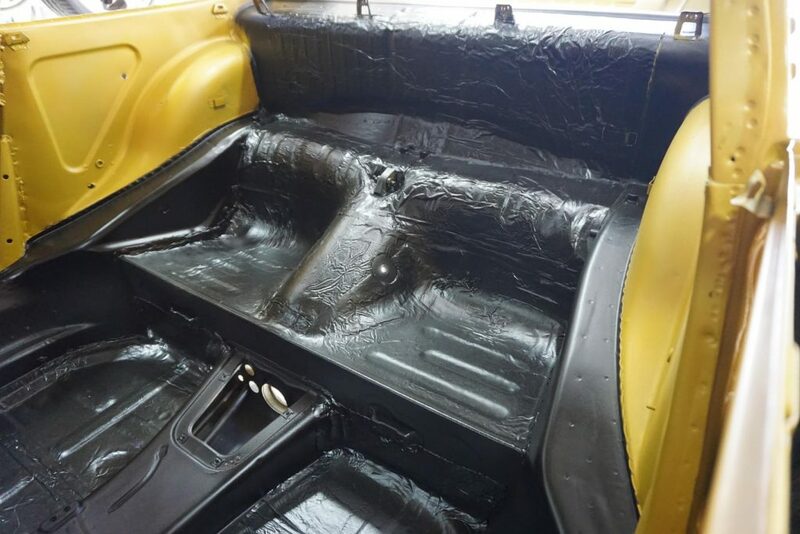 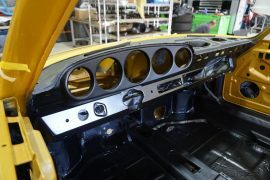 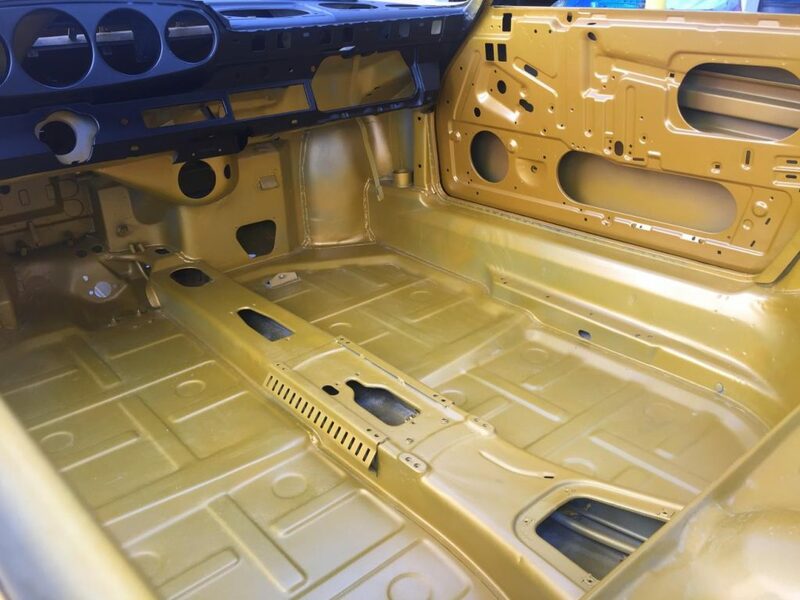 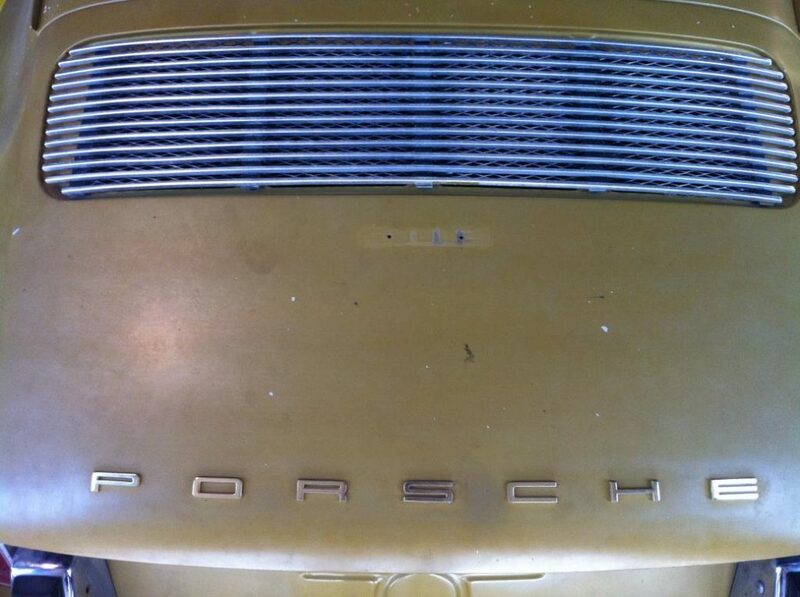 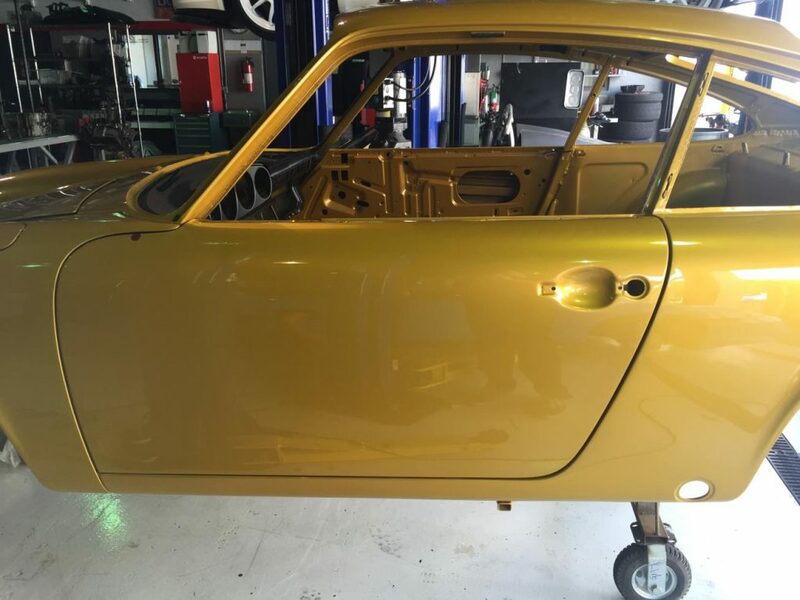 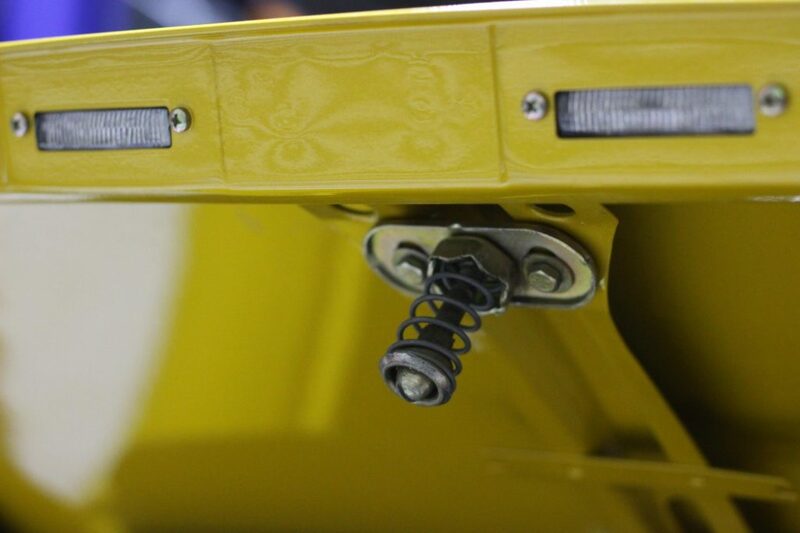 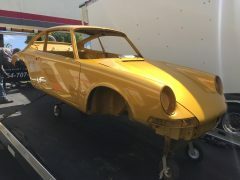 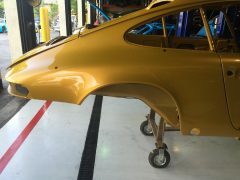 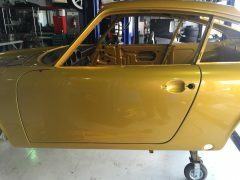 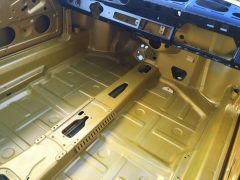 After that the entire body inside and out was prepped and then sprayed in it’s original L888 gold color. 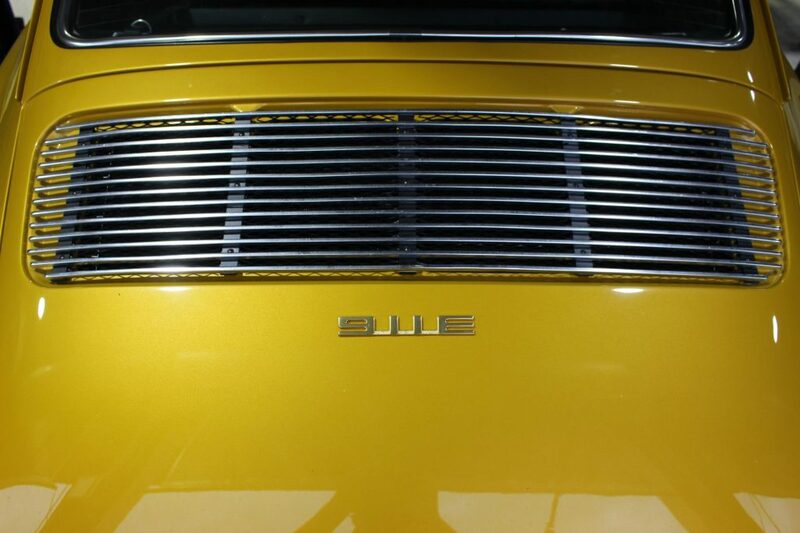 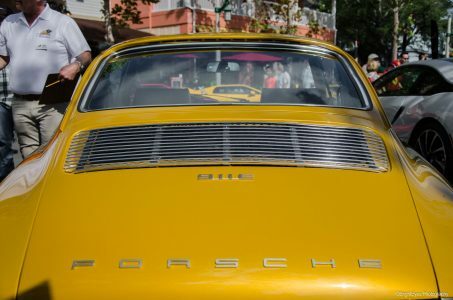 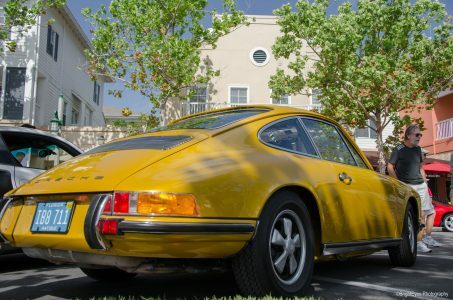 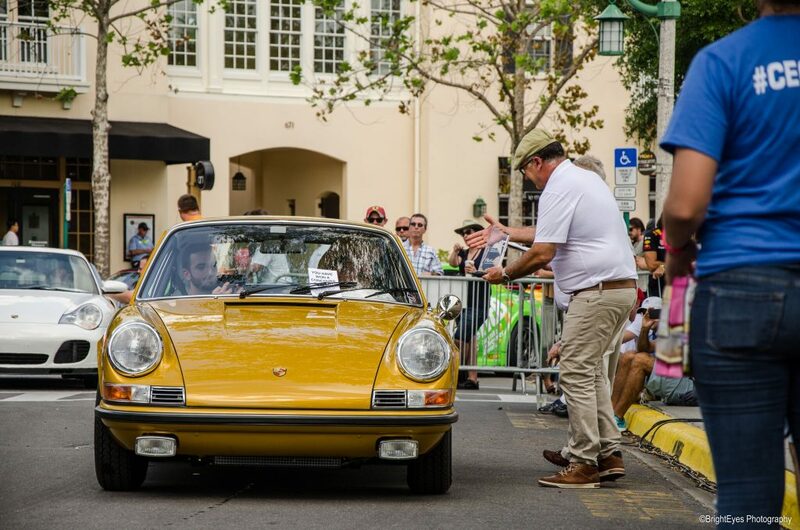 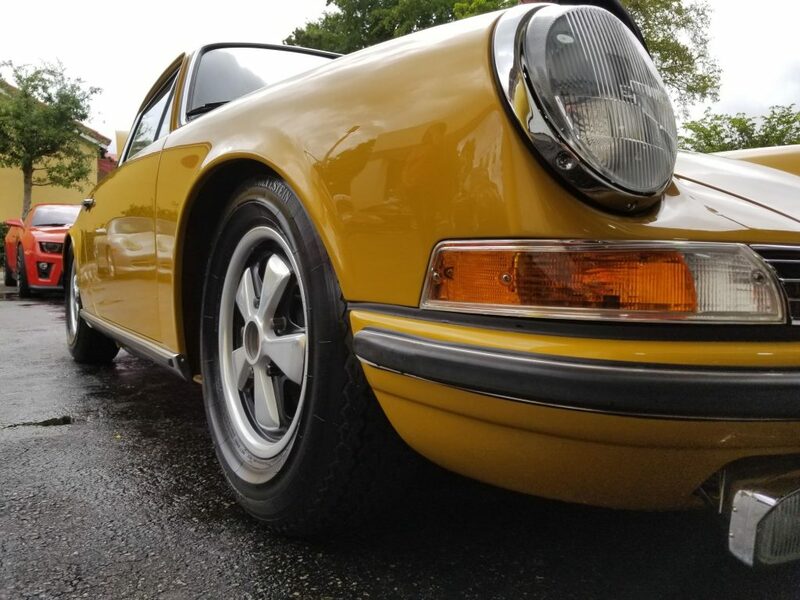 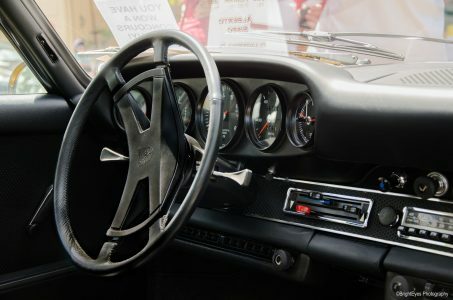 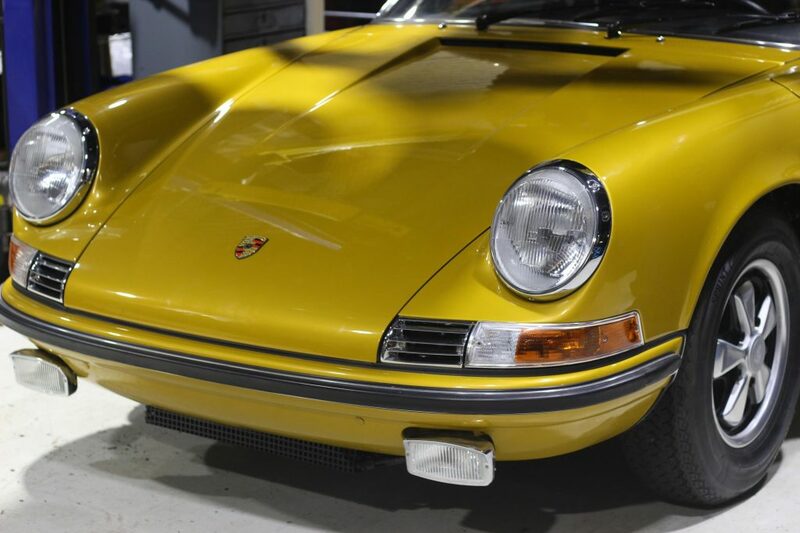 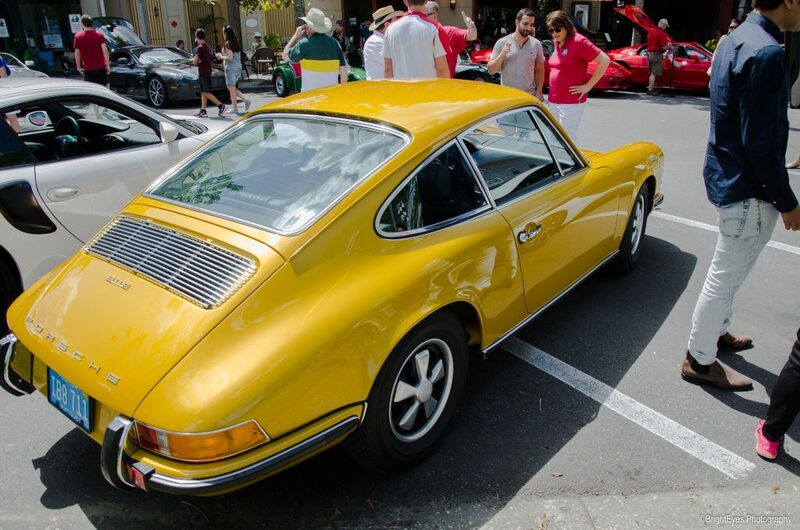 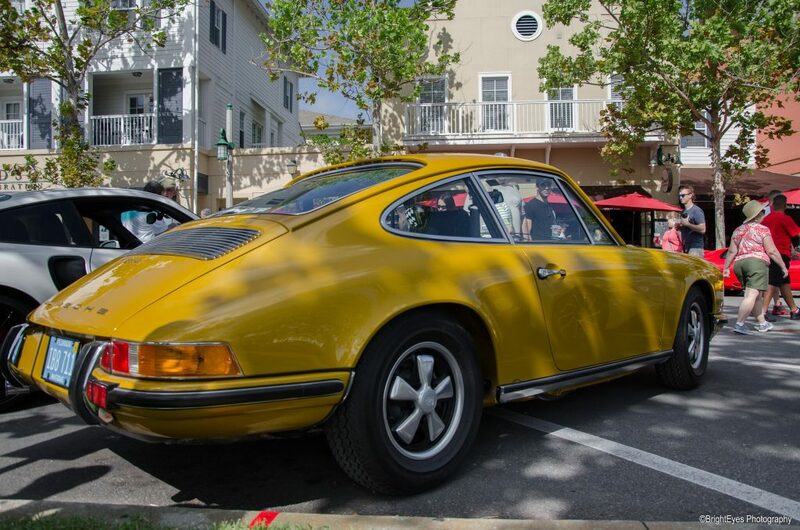 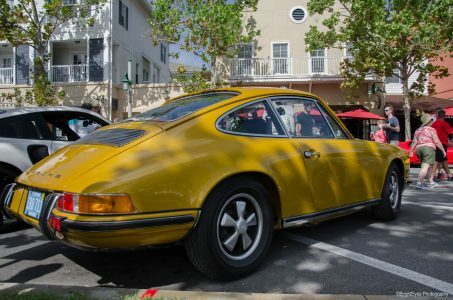 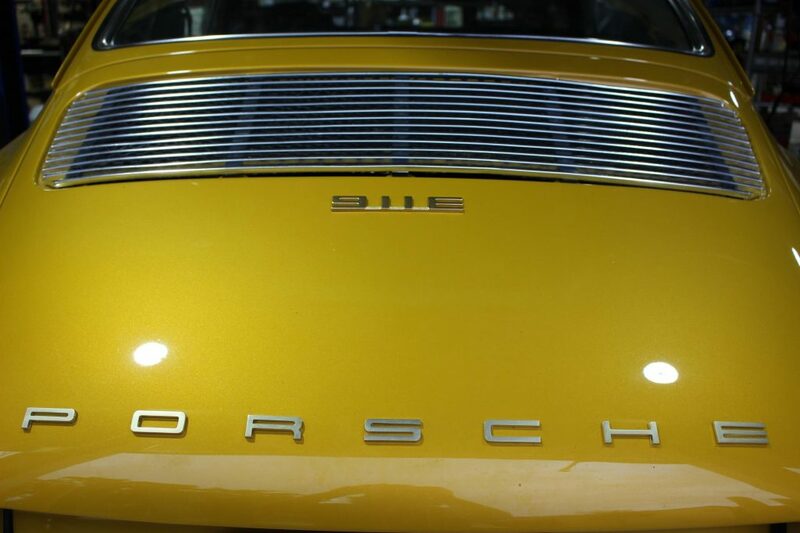 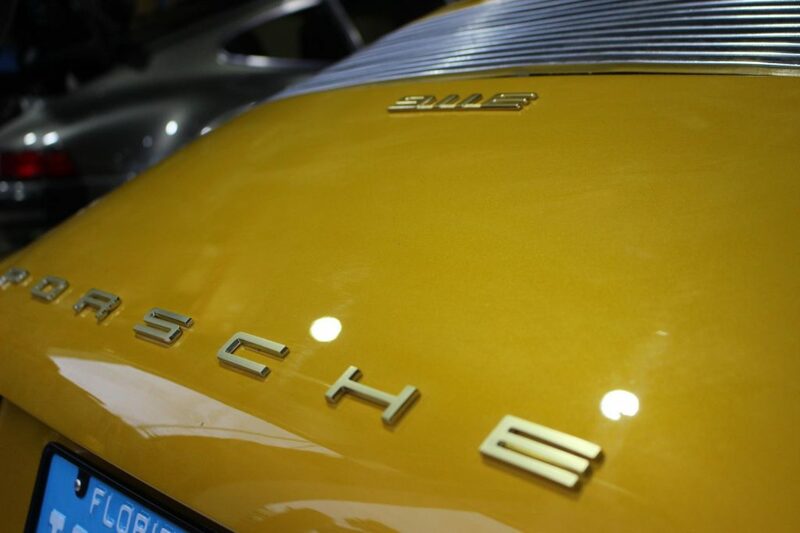 The Final Result: A completely restored, matching numbers, Concours winning 1971 Porsche 911E.